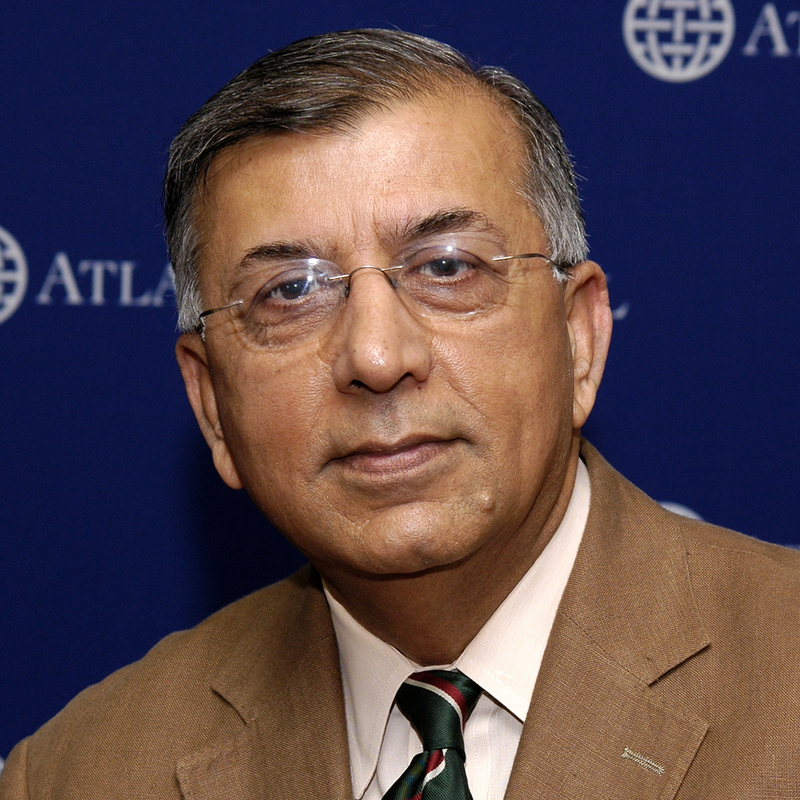 Shuja Nawaz, Director of the Atlantic Council’s South Asia Center, appeared on the weekly WUSA9 show This Week in Defense News. The interview with Vago Muradian focused on the fragile relationship between Afghan President Hamid Karzai and Coalition leaders following Karzai’s calling for an end to Coalition special forces operations that target Taliban fighters. Nawaz also commented on Pakistan’s war against extremists. Shuja Nawaz, Director of the Atlantic Council’s South Asia Center, assessed the U.S.-Pakistan Strategic Dialogue in an article titled “The Mountain Yields a Mouse” for the November 8, 2010 issue of Newsweek Pakistan. It’s time to reassess the Strategic Dialogue. The latest episode of the U.S.-Pakistan Strategic Dialogue ended on Oct. 22, following weeklong discussions featuring 13 working groups on different sectors of the Pakistani economy. There were the usual platitudes. “The United States has no stronger partner, when it comes to counterterrorism efforts against the extremists who threaten us both, than Pakistan,” said Secretary of State Hillary Clinton. But she also admonished Pakistan to get its fiscal policies on track. This third round of talks produced only one notable result: the provision of a fresh, $2 billion, five-year aid program for the Pakistan military, subject to approval from the U.S. Congress. This was just one of the major items that Pakistan had on its 150-page pa-per of demands from its ally. The civilian side got short shrift. There was no word on a civil nuclear deal (relegated to “private discussions”); improved access of Pakistani exports to the U.S. market; or on India and Kashmir, which Pakistani foreign minister Shah Mahmood Qureshi raised in his concluding remarks. U.S. officials continued to put the best face on the “useful” discussions. Pakistan’s representatives have trumpeted the promise of President Barack Obama’s visit next year to Pakistan—after he will have been to India first—and a potential invitation to President Asif Ali Zardari to visit Washington. But privately, Pakistani observers and some delegates have expressed their disappointment with the results, and the inability of the U.S. to gauge Pakistan’s needs and deliver appropriate aid. Except for minor amounts devoted to flood relief, most of the Kerry-Lugar-Berman funds have yet to hit the ground in Pakistan. As price takers, Pakistanis appear to have little left to do but carp. The trust gap between the allies remains. And it will remain so long as the U.S. continues with its policy of carrots and sticks. The Dialogue was preceded by border violations by ISAF helicopters, causing a serious rift that led to the closure of NATO supply routes through Pakistan. Then, the evening before the final high-level meeting, The New York Times reported that the U.S. had decided to invoke the Leahy Amendment and block aid and training for any Pakistani units involved in extrajudicial killings. This preemptive move, despite Pakistan Army chief Gen. Kayani’s public denunciation of such acts and initiation of an internal investigation, rankled the Pakistanis. Little does Washington realize that its carrots-and-sticks mantra may produce short-term gains, but it also solidifies the view among Pakistanis in general and Pakistan’s generals in particular that the talk of a long-term relationship may be just that, talk. The closed door sessions produced hard talk from the U.S. side, but the Pakistanis did not give way. If this behavior continues, the fourth round of the Dialogue may well be the last unless clear results emerge. Pakistan needs to clearly define its goals and “red lines” for the Americans. Similarly, the U.S. needs to be open about what it can and will do to help Pakistan, and it must recognize Pakistan’s regional position and role. Lingering hope is not the solution for this ailing relationship. Time is running out on both sides. A faltering civilian government in Pakistan is caught up in debilitating political and judicial battles. The Army lurks in the shadows and affects all political players, both by what it does and does not do. Meanwhile, in the U.S., the administration will likely be weakened considerably after the midterm elections. The mood on Capitol Hill is not in favor of more or larger aid packages for anyone, especially allies considered twofaced. By the time the travelling circus meets in Islamabad next spring, the U.S. presidential campaign will have begun, and the July 2011 deadline for withdrawal of forces from Afghanistan will be looming. Even if all else remains stable, Pakistan will face an uphill task to persuade the U.S. to deliver what it seeks. Beware too the wild cards in this game of political poker. If there is one more exogenous shock—another U.S. attack in North Waziristan, a Lashkar-e-Taiba attack in India, or a successful terrorist attack on the U.S. mainland emanating from Pakistan—all bets are off. THE ATLANTIC COUNCIL, WASHINGTON, D.C.
FREDERICK KEMPE: Thank you all and welcome to the Atlantic Council. I’m Fred Kempe, President and CEO. President Musharraf, it is a particular honor to see you again and in this setting. My last interview with you before I left the Wall Street Journal – where I was editor looking after Europe and the Middle East, and your region – to lead the Atlantic Council, was in January 2006 in Davos. I’ll give a couple of lines from this interview, just to illustrate how much can change and how little can change in a period of time. We talked about something that hadn’t made the news much until that time, and that was the notion of a gas pipeline that would run from Iran to Pakistan and potentially on to India, a trilateral track that could be game-changing. One of the things we’re working on at the Atlantic Council in the South Asia Center is, how does one drive this kind of regional cooperation? How does one wage peace in the region? We talked about drones. There had just been an attack on a village where al-Qaida leaders were expected to have had dinner, that killed Pakistani women and children and set off street protests in Pakistan cities. You talked in the interview of how you hadn’t been informed in advance and that Pakistan had told the U.S., quote, “We don’t want anyone to operate in Pakistan,” unquote, even if that meant a slower response to intelligence. Mr. President, we established the South Asia Center two years ago because we recognized the centrality not only of these sorts of questions but because of the centrality of the bilateral relationship with Pakistan in its regional context. You are an unusual man, talent, that understands both the region and Washington. And, interestingly, we have picked a leader for our center who is probably the most unique person, Shuja Nawaz, in understanding – he’s an insider in both societies and an outsider in both societies, which is really a frightening bit of schizophrenia to bring to the leadership of any organization. But he knows how Washington works, and he knows how Pakistan works. And it gives us a leadership that has a position where the South Asia Center is not an American center; it really is a global center talking about a region and bringing us real, real expertise that has put us at the center of this debate after just two years – less than two years in operation. Only by understanding the relationship with Pakistan with this kind of sophistication can we move forward. There may be no more important bilateral relationship in 2011, for the U.S., than this one, President Obama’s trip to India notwithstanding. So we want to talk about the global – the geographic subcontinent in the center – Gulf states, Afghanistan, Central Asia, Iran. We understand it’s all interlinked. And we think the solution to the problems we’re looking at will, in the end, only come from this. John Kerry has called our work on U.S.-Pakistan relations “seminal.” Since the center’s launch, we have published an updated report. The first report we did was in 2009. We then did an updated report on the tenuous relationship. And we commit – we remain committed to our mission of waging peace. Let me just quote the first sentence from that report. Quote: “Perhaps no bilateral relationship in the world matches that of the U.S and Pakistan when it comes to its combustible combination of strategic importance and perilous instability.” So that context is as important, as is our speaker today, a man who understands the context and the challenges as well as anyone on Earth. Few people in the world have an understanding of the inner workings of Pakistan, its current place in the region and its future direction better than President Musharraf. He worked his way up through the military and political ranks to become general and army chief of staff in 1998. He took over president after a bloodless coup in 1999, and led his country until his resignation in 2009. 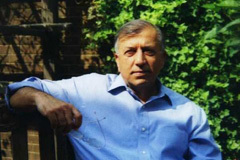 His life story tracks the dramatic history of the country and the region. He is not only a person of history in the region, but as we’ll hear today, he’s very much a person also of the present. PERVEZ MUSHARRAF: Mr. Frederick Kempe, president of the Atlantic Council, members of the council, it is indeed my unique privilege to be talking to all of you on a very important subject, the subject of our region, what is happening there. It is the happening place today. And the strategic focus of the whole world is to our region. Therefore, I would like to really say that we must understand the reason – region. And there is no doubt that the world and indeed the United States coalition forces and Pakistan must cooperate fully to emerge successful in whatever they are battling. But within this, therefore, I am going to talk to you on regional developments, on the current situation there in the region, and also the ups and downs of Pakistan and United States relationships. As you said, it’s a strategic relationship of great importance – but may I very frankly say that yes, indeed, in words. But in actions, one would expect much more to show or to demonstrate the strategic importance that Pakistan enjoys in that region, which I’m going to now enunciate through whatever I’m going to say. I would like to take a historical perspective of this – whatever has been happening in – around in this region, and I will start (by ? ), because from that I’m going to – sorry – (phone rings) – (laughter) – I think – yeah, (go shut it off ?) – (laughter) – I’ll take the historical perspective, dividing it into certain periods, and within that I will extract the relationship of Pakistan and the United States and why there have been ups and downs. First period that I’m going to take is 1979 to ‘89. And may I say, right since 1948, Pakistan has been a strategic partner of the United States. And we have been with you all these years, for 42 years right up to 1989 very clearly. From 1979 to ‘89, we launched – with the Soviet invasion of Afghanistan, we launched a jihad against the Soviet forces. We called it a jihad – when I say “we,” United States and Pakistan – we called it a jihad because we wanted to draw mujahadeen from the whole world, which we did. We drew about 25,000 to 30,000 mujahadeen from Morocco to Indonesia, from almost all Muslim countries. We also trained, armed Taliban from the frontier province of Pakistan and pumped them into Afghanistan. So this continued – the strategic relationship with the United States, on its up, continued since ‘48, especially in these 10 years where we fought a war together in Afghanistan. We fought a jihad. For 10 long years, this jihad was waged. And in this jihad, the elites of Afghanistan abandoned Afghanistan for United States and the comforts of Europe. The jihad was spearheaded by religious militant groups. And also, the negative aspect, which I must highlight, that what – the glue that held Afghanistan together, the ethnic groups together – which they call Misaq-e-Milli, which translates into “a national covenant” – this glue, after the king was deposed by the Soviets, was no more. Therefore, when we talk of political resolution, we are talking of a new national covenant, home-grown national covenant giving the Pashtuns of Afghanistan the dominant position in governance. Well, these are the two points that I wanted to highlight. So this period of ‘79-’89 ended in the Soviet defeat in 1989. But what happened after 1989? I’ll take the next period of ‘89 to 2001, 12 years. I call this the 12 years of disaster. Firstly, Pakistan and Afghanistan, this region was totally abandoned by the United States. Not only abandoned, there was a strategic shift in the United States towards Pakistan – against Pakistan towards India. There were the sanctions imposed on Pakistan through the Pressler amendment, and cozying up of relations with India starting 1989, in spite of the fact that we were the strategic ally for 42 years and we fought a war together for 10 years. This led to a sense of betrayal within the people of Pakistan, which exists even now. So 1989, the abandonment of the region was one – the first great blunder committed by United States, not only vis-a-vis Pakistan, but also that the 25,000 mujahadeen who were holed up in Afghanistan coalesced into al-Qaida. And then in 2005, Taliban emerged. All this happened because there was a total void and vacuum in Afghanistan, each ethnic group fighting the other, from ‘89 to ‘95 for six years, battling each other. Even the Pashtuns were divided into about eight different groups, and they ravaged and destroyed the country. In ‘95, when Taliban emerged, the fighting then on went between two groups: the Taliban on one side, Northern Alliance, which was Uzbek, Tajic, Hazara minorities, on the other side. They then destroyed Afghanistan for another – up to 2001 – for another five, six years. So in these 12 years, Afghanistan became a ghost country. I went to Kabul immediately after 9/11, soon after, when I visited Afghanistan. It – Kabul was worse than Somalia, if anyone has seen Somalia in the bad days. So this was Kabul, a ghost city. This is what happened in these 12 years. After having won a victory against Soviet Union, the fruits of that victory went to Europe, because the strategic focus then was Eurocentric because of Cold War, East-West, Warsaw Pact, NATO, Berlin Wall, reunification of Germany. All that happened. All the gains went to Europe. What did Afghanistan get or Pakistan get? Nothing. For 12 years we were abandoned, and Pakistan got 4 million refugees in the process, into Pakistan. We had to fend for 4 million refugees, warfare, warlordism in Afghanistan, Pakistan alone, to protect its own interests in these 12 years. That (was the downs of/would redound of ?) Pakistan-United States relations, where Pakistan, the people of Pakistan, thought that United States has used Pakistan and abandoned us. Then comes 9/11 and the terrible terrorist attack here in United States. Pakistan again becomes important. Pakistan is needed again. And therefore we again become strategic partners. But when we became strategic partners, the question that I was asked everywhere that I went in Pakistan: “What makes you think United States will not again use us and abandon us?” It’s important, ladies and gentlemen, today, when we are trying to take a decision whether to stay or quit: Are we again to be abandoned? Question mark in the minds of every Pakistani. So now the next blunder that I would (sort of ?) talk of, which is very, very significant. After 9/11 – after 9/11, the Taliban were defeated with the help of Northern Alliance, which were the minorities: Uzbeks, Tajiks, Hazaras. Taliban dispersed, ran al-Qaida, totally decimated. They ran into the mountains and cities of Pakistan. There was no command structure. There was total disarray in Taliban, al-Qaida – nothing of the sort. Afghanistan now was available for the political instrument to be used. The military instrument delivered in Afghanistan in 2000s – soon after 9/11. By giving – (inaudible) – Afghanistan, where force was dominant position – military dominant position in Afghanistan; and now political solution available to be executed in Afghanistan. But unfortunately, that political solution didn’t come about. What is that political solution? You cannot govern Afghanistan with a minority of Panjshiris dominating the government. Panjshiris are only 8 percent. They are half of Tajiks. Afghanistan has always been governed by Pashtuns historically, they being 50, 55 percent of Afghanistan. Now here was a situation early in 2002 where we could have changed policy and strategy, taken Pashtuns on board and put a legitimate Pashtun-dominated government in Kabul. Unfortunately, we did not do that. The environment was available. We failed to do that. And therefore, we continued governance with the Panjshiri minority, the biggest blunder with which we are persisting even now. Now we are trying to talk to moderate Taliban or Talibans. What we should have done in 2002 and ‘3 from a position of strength now we are trying to do from a position of weakness. That was the next blunder. And now we are in the process of taking a decision whether to stay or quit. Well, ladies and gentlemen, this fourth decision has to be taken very carefully. We cannot commit a fourth blunder. What I would like to say is, in Afghanistan, a lot of people ask whether we can win. I would like to – my reply is, we must not lose, even if we don’t – even if the answer to the winning may be 50-50. But we must not lose. And let me say with 100 percent conviction, if we stay there and show resolve, we will not lose. And we are not losing. So therefore, my food for thought here is, ladies and gentlemen, that we must not lose first and then work out the winning strategy. And I have said that Pakistan is supposedly a strategic partner. Well, I don’t know. Pakistanis and people of Pakistan are not too sure whether we are the strategic partner in words and deeds and actions. Pakistan has certain sensitivities, ladies and gentlemen. What are the sensitivities of Pakistan? Firstly, our integrity, our well-being, of course, and the world showing concern and giving us importance which is due to us. The other is the Kashmir dispute. The Kashmir dispute is important not only that it’s a dispute in the United Nations since ‘48, but today it is causing a lot of terrorism and extremism within our society. In 1989, when Kashmir erupted, freedom suddenly erupted in the Indian part of Kashmir, dozens of mujahadeen groups sprung up within Pakistan. And thousands of people were prepared, volunteering to join to go to India to held Kashmir – Indian-held Kashmir to fight against the Indian army. And all these much-maligned names of Lashkar-e-Taiba, Jaish-e-Muhammad, Hizbul Mujahadeen, et cetera, et cetera – I don’t want you to remember names – are products of ‘90s. Now, when there’s another intifada kind of a movement by people of India-held Kashmir, and that is suppressed by the Indian army with hundreds of people, dozens killed, these very mujahadeen groups again start rising and people give them a lot of support. This sensitivity and its impact to terrorism and extremism must be understood by the world. And therefore the significance of resolution of the Kashmir dispute – not because Pakistan wants it. It’s necessary for the region, for the world to fight terrorism and extremism. The other sensitivities are nuclear capability. Ladies and gentlemen, Pakistan is much the rogue element, rogue nuclear state, rogue army, “Islamic bomb.” I don’t know why Indian is not a “Hindu bomb” or an Israeli bomb is not a “Jewish bomb.” Why is Pakistani bomb only an “Islamic bomb”? I don’t understand this logic. But anyway, Pakistan is nuclear for as a defensive existential threat exists on it. Our strategy was of military – defensive military deterrence right from 1948. And we quantified this into army, navy, air force on the conventional side. We held that always. In 1974, India went nuclear, so therefore the defensive deterrence strategy became untenable. Therefore, Pakistan had to go nuclear. And when India started firing missiles in the early ‘90s, Pakistan had to make missiles to restore that balance and restore the strategy of defensive deterrence, which we did. So therefore while Pakistan’s nuclear or strategic capability is an existential compulsion, which is not the case with India. And I don’t understand the logic, and no Pakistani will ever understand the logic, of why Pakistan’s nuclear assets are disturbing the world. So this is our sensitivity. Our nuclear, our strategic assets is the pride of every man walking the streets of Pakistan. So any indication of negativism coming from abroad, a threat coming on the strategic capability of Pakistan, is viewed extremely seriously by every individual Pakistani. So this is the compulsion. Now, President Obama’s visit to India. I don’t want to talk much, (if you wish ?). And I don’t believe in Pakistan being Indo-centric. And I do believe that relationships – in bilateral importance of relationships. United States president wants to go to India, absolutely he has all the rights to do everything. But if Pakistan is a strategic partner, Pakistan has strategic significance – Pakistan is suffering because of so many bomb blasts, hundreds, if not thousands, of people dead; Pakistan army has suffered 2,500 dead; Pakistan’s ISI has suffered about 300 dead; and then we’ve had this flood, massive flood, unprecedented, so many casualties – I thought President Obama should have shown some concern for this small strategic partner and visit to Pakistan. No mention of Kashmir. I’ve explained the issue. It is sensitive, from fighting terrorism and extremism point of view. So while the concern of India may be that no third parties ought to be involved, yes, indeed, it should not be involved and we should resolve Kashmir dispute bilaterally, which we were doing in my time, and we were near a solution. But certainly from the sole superpower, one expects concern for Pakistan, being a strategic ally of importance, and also sensitivity to terrorism and extremism, because Kashmir does contribute negatively towards terrorism and extremism. While there is concern in United States or interest in United States because India wants to purchase $45 billion of arms purchases, yes, it is our commercial and economic interest, but I remember in my time, Pakistan, I was requesting European Union and United States for an FTA, free trade agreement, or a PTA, preferential trade agreement, on an additional market access, because I believed in trade, not aid, because trade means opening of factories, job creation, poverty alleviation, unemployment reduction. Unfortunately, it was not given. Lastly, ladies and gentlemen, I talk of the political scene in Pakistan. Here in United States, as we’ve all said, you know, Pakistan’s strategic significance, therefore you ought to be concerned what is happening in Pakistan and what the future holds for Pakistan. We must ensure that Pakistan’s integrity, its solidarity, its stability is maintained, because we have to fight terrorism and extremism and defeat it. And if we want to do that, we look at the political realities in Pakistan. Today Pakistan is on a downward turn: its economy, its governance, political turmoil and, of course, terrorism and extremism. In this situation, let’s look at the future. One has to look at the future; otherwise, we always tend to react, react when it is too late. We need to see is there light in this darkness that Pakistan is facing today. And that light will come through the political alternatives. I do understand that democracy has to be maintained, but through democratic – through the process of elections, is light visible? We will have elections in 2013, hopefully, when the government completes its tenure, or some people are saying midterm elections or whatever. But what will be the result of that elections? Will we have a government which will deliver to Pakistan and take Pakistan forward in its darkness toward light, fight terrorism, ensure the solidarity and integrity of Pakistan? I don’t see that light, unfortunately. Therefore, ladies and gentlemen, I personally thought that I need to get involved. Maybe, maybe there is a chance that I produce an alternative which may be viable for Pakistan. And therefore I have joined politics. Where one has to analyze the future of Pakistan, we must ensure the stability and solidarity of Pakistan for the sake of controlling of turmoil in that region and containing further turmoil in the region. SHUJA NAWAZ: Thank you, Mr. President. As usual, that was a sweeping, strategic view, a vision that you’ve often reflected in your talks. I’m going to pick up on some of the points that you raised, and particularly on the U.S.-Pakistan relationship. And reminded by a quote from Gen. Zial ul Haq to Ambassador Jamsheed Marker when he said that being friends with America is like living on the banks of a great river; every four years, it changes course and leaves you either flooded or high and dry. (Laughter.) And one could get that flavor from your commentary on the U.S.-Pakistan relationship. But when you took the fateful step of joining what some call the coalition of the coerced, after 9/11, you agreed to provide access to the United States to Pakistani territory to launch the attack on Afghanistan. And there is enough evidence that some of the earlier drone attacks, which led to a lot of public outcry against Pakistan’s involvement in the war, were also launched from Pakistani airfields originally and then moved to Afghanistan. There was no Tehreek-e-Taliban of Pakistan at that time, and it resulted largely because of the infusion of the Pakistan army into the border region. So when looking back on this period, do you think there was too much haste in acceding to the U.S. request? MR. MUSHARRAF: Well, this is the argument that many people have given, and I have faced this question many, many times. First of all, Pakistan’s decision to join the coalition and the United States. The first question that I asked myself before joining: What is in Pakistan’s interest? Does Pakistan want Talibanization, a Talibanized government in Pakistan? Do we believe in obscurantist views of Islam that Taliban hold? Do we want that in Pakistan? The answer was no, we don’t. And I know that 99 percent of Pakistanis will say no, we don’t want that. With all that confidence, it was not in our interest to be supportive towards Taliban. So it was Pakistan’s interest, not U.S. interest. Then I also went further. If we did not join, what could happen? And my answer, which I don’t want to elaborate, was certainly very dangerous for Pakistan because India was ever prepared to join, and certainly United States would have attacked Afghanistan. How do they attack Afghanistan from Iran – from India? Obviously, violating Pakistan’s sovereignty and airspace or whatever or land. So therefore, from all points of view, bravado is good at a personal level. I’m prepared to show bravado. But where nation and states are involved, bravado is not the solution for a leader. And therefore, I take – took the decision. And whether that decision was correct or wrong, I think with hindsight, most of the Pakistanis believe that it was a correct decision now. Now, regarding TTP, was it not there? Yes indeed TTP was not there. There were – there was TNSM, which was more serious, TNSM led by Sufi Muhammad, Tehreek-e-Nafaz-e-Shariat-e-Mohammadi. He was the main leader, and he is a man who’s stronger in this region, in the division – Malakand division, it is TNSM. TTP is a later induction, yes. But then there was (no ?) Baitullah Mehsud. He – these are all products – because of what has been happening – these are products because we defeated, as I said. And after 9/11, Taliban and al-Qaida were defeated. When did Taliban reemerge? 2003 or even 2004, I think, and 2003. We had a two-year period to execute a political solution in Afghanistan acceptable to the people, with Pashtun in the dominant position. I coined the term: “All Taliban are Pashtun, but all Pashtun are not Taliban.” I said this in 2002. So therefore let’s get – let us win away Pashtun from the Taliban and get them on our side, the Pashtun. Now, that was not done, so therefore Taliban emerged. When Taliban emerged in 2004, things started now going towards Taliban. While we battled al-Qaida and decimated them, which is the position now, they are few in numbers. But Taliban have emerged. So these can’t be – you can’t put that on my – (chuckles) – that I did something which created TTP. (It has been all ?). And then Kashmir? Yes, indeed. As I said, Kashmir, a freedom struggle erupted. The – this had all its dynamics. So religious militancy in Afghanistan, religious militancy in Kashmir. And after 9/11, yes, indeed, the – all these also turned their guns towards us, towards me. So therefore our national – (inaudible) – (caught on ?) actually. Religious extremism went on the rise. And because of that, TTP also came about et cetera, et cetera. Yes, I agree. So I think we need to – we need to feel the history, but also feel future – the realities of today and battling it in future and winning. I think we should concentrate on that and not go wrong there. MR. NAWAZ: – on the street is opposed to the drones. MR. NAWAZ: – then why allow the drone attacks to cross your sovereign boundary. MR. MUSHARRAF: Yes. Yes, you did ask (me that ?). MR. MUSHARRAF: Now, drones, this is a – this is a – this is a dilemma, here. Let me share with you: The dilemma is that these drones do certainly target militants. I know that. But at the same time, indiscriminate use of drones cause a lot of collateral damage. That is what is negative. And the other negative is violation of the sovereignty of Pakistan. Now, you have said about my time – in my time, I never allowed anything to violate sovereignty of Pakistan. We needed drones for giving us information and intelligence about targets. Where is the target? That is the main thing. Where are the militants? And aerial surveillance is important to spot the militants. But then, after spotting them, is the issue of what action to be taken now. There are many methods of dealing with a target. You can use the Air Force with precision-guided munitions, you can send your helicopter gunships, or you can use – we have created a force called SOTF, Special Operations Task Force of SSG, the Special Services Group, Helibond (ph) force. We can send the Helibond (ph) force, surround it and attack it. So there are various methods. Now, I was for use of Pakistan armed forces – (inaudible) – a target was ?) indicated. So that was (end figures ?) itself. I think there were only a few drone attacks in those times. I always objected to them. Now there is just indiscriminate use of drones, and that is causing a negative, while they do attack militants, but the people of Pakistan do not accept violation of their sovereignty. So that is the dilemma. I’ve always been saying, why not give drones to Pakistan, the Pakistan armed forces? Now that is where the United States laws come into play of transfer of high technology and all. Well, then you – well, this is – this is unusual circumstances, unusual measures required. MR. NAWAZ: This is the element of mistrust that still prevails between the two strategic partners. But let me take you back across the border. You were saying something quite important about Afghanistan and the U.S. strategy there. You said, “can we win,” and you said the response is, “We must not lose, and then come up with a strategy.” Now, it’s been almost 10 years since there has been kinetic operations in Afghanistan. What in your mind is that missing strategy? MR. MUSHARRAF: Yes. I mean, that is the key question, yes. First, I said the important part: Do not lose. And when we talk of quitting, it is – has terrible impact, negative on both sides, negative on partners more to, because every partner in the coalition, I think, including Pakistan, would like to evaluate the situation after you quit. And certainly I am reminded of 1989 – all ethnic groups fighting each other, millions of refugees in Pakistan, and we are, again, alone. So Pakistan will have to think – must think. Negative. The enemy strategy is very, very clear. If I was a Taliban commander, God forbid, the easiest thing is to while away time. “One year, I mean, what is the problem? I mean, time is on my side. Let’s wait out until these people go.” What a negative thing. So first of all let us show regard, ladies and gentlemen. We must know in tribal culture force chivalry is expected. And this little bit of veering and cowardice is never respected. So therefore please show resolve and stay there. Now we have to certainly win. What is the winning strategy? And how can we do it? We have to first be in a military-dominant position. Speak from position of strength; never speak from position of weakness. So how do you do that? Our forces today, U.S. forces, coalition forces – if you just take this – are diluted in space. Militarily, we called it “dilution of space.” Too much space, less force. So any thinking of going across the Pakistan border, by the way, is increasing space with the same force, more dilution of space. You will be defeated. You will suffer more casualties. Never make that mistake. So therefore, now how do you do away with this dilution of space? Afghan National Army? Yes, indeed. Raise more. But do we know that the Afghan National Army today is all Tajik? What a blunder. Fifty percent, 55 percent is ethnic Pashtun. How can you do this? There has to be a great balance in the army. In the Afghan National Army, there have to be more Pashtuns. Secondly, is there any other element? I think there is even now, although we are eight years late. We should have done it in 2002. If you see Pashtun culture, tribal culture, in this tribal culture, in the tribal tribes, two things that I want to highlight. The clerics had no position in the – in the hierarchy. They were confined to their mosques. Who wielded authority? Tribal malik. Over the centuries, over the centuries, tribal malik. Where are they? They have been suppressed, but they are there. They are there. Secondly, this tribal culture, everyone carries a weapon, and they have armories. Each side has its armory. Whenever there was a tribal feud, weapons used to be issued from this armory and withdrawn. So there’s a weapon culture, and pride in weapons and good weapons. Now, let us locate tribes who have no ideological affinity with Taliban and tribal maliks who have some – I don’t want to use the four-letter words – who have something in there. (Scattered laughter.) And they then are raised, armed. Give them their pride. Let them come with you and fight the Taliban. By the way, a tribal – lashkar – they are called “lashkars.” Tribal lashkars have always fought with the Pakistan army against India in all wars. So therefore let’s create those lashkars. So this is to gain military dominance. And then the political instrument. Military will never give you a solution. It can only create an environment for you. So political instrument. We have to get the Pashtuns on board. There is no moderate Taliban. I don’t agree with this term of “moderate Taliban.” There is Taliban. There is Pashtun. So we – but what – however, whatever the name, get the Pashtuns on board. We have to get them. And, good thing in that, the Taliban is not a monolith, ladies and gentlemen. It’s not Mullah Omar over all the Taliban, you’ve got good command structure like the army. It’s not at all that. There are a number of Taliban groups operating. In fact, let me tell you that Gulbuddin Hekmatyar, who is in Kunar, and Haqqani, their people have clashed with each other. Gulbuddin Hekmatyar people suffered about 150 dead killed by Haqqani group chaps. And he then ambushed them. So what I’m trying to say is that there is – it’s very good that there are a number of Taliban. So there is scope for managing political affairs, but from a position of strength. MR. KEMPE: Thank you, Mr. President. One last question from me before I share you with the audience. And I know that they have many questions. This is picking up on your points regarding the 2013 elections in Pakistan. You said you decided to join politics. Some would say that you joined politics in 1999 when you took over the government. However, what has changed in Pakistan from the time that you left Pakistan voluntarily that you think would allow you to go back? And then the obstacle which you obviously face apart from potential legal challenges is the question that – the indirect election of the presidency, with the provincial assembly members, the national assembly, the senate voting for the office of the president. Your party, the All Pakistan Muslim League, has only just been launched. Do you think there is any realistic chance that you will have enough support, particularly if the elections are called early? MR. MUSHARRAF: Yes, well, a journey of a thousand miles starts with the first step. And it’s always the first step which overawes people, that it is too big. Well, if it’s too big, then you think of it as too big, don’t enter because you don’t have that leadership in you. I presume it is not too big because, number one, I left not because I was – my popularity was rock-bottom. I was the most popular man in Pakistan until 2007. There’s no doubt in my mind. I know that. I had a standing in Pakistan in the masses, in the people of Pakistan. It is in 2007 that political turmoil took place because of certain legal actions that I took, for which there was a reason; I don’t want to get involved in that. It is not that Pakistan was going down. It was not that the socioeconomic development of Pakistan was going down. It was not that Pakistan’s people, the condition of the people, the welfare, well-being of the people was going down. The poverty in Pakistan, according to the World Bank figures, 2008 figures, are from 34 percent, it reduced to 17 percent. Which government has done this? And the people of Pakistan know it. It went down – it was hard, poverty, in the seven years that I was there. Now, so this is one, that my popularity did go down. There is no doubt. But it didn’t touch rock-bottom, that I was – I was popular in a lot of segments in Pakistan. One is this. The other point is what Pakistan is suffering today is the reason for, again, people thinking of me, that I could deliver from the darkness. I said that in this darkness, the people of Pakistan are not seeing any light. What is the choice if not people’s party? People’s party is performing today in government. And I don’t have to elaborate; everyone knows what is happening in Pakistan as far as governance is concerned. The alternative is Nawaz Sharif, PMLN: tried twice and failed miserably. In ‘99, Pakistan was a failed and defaulted and bankrupt state. We had $300 million only in the foreign exchange reserves. And all our indicators – debt-to-GDP ratio was 103 percent – maybe a little better than the United States today. (Laughter.) But however, it was 103 percent. And it was in a – the (economy ?) was in a terrible state. People were poor, they were crying, they were yearning for some change. I was a chief then. I know how many women and men came to me and told me, “When are you going to take over? What are you waiting for – when Pakistan is gone?” I’m talking about ‘99. If I gave the names of some of them, you even – this gathering will know them, who came to me and told me to take over before Pakistan is gone – in ‘99. This condition now is almost the same. Despondency, hopelessness, people wanting to run away, inflation touching the sky, people committing suicide, people in the street. Now they are remembering what they’ve missed: the important, essential items in Pakistan. Sugar is one of the essential items. I was reading just two days back, in 2006 the sugar price went from 21 to 23 rupees per kilo. And I called the sugar mill growers to explain to me what is the cost of sugar cane they are getting and what is the profits they make, why is this to be increased. Today it is 115 rupees a kilo. This is what has happened in two years. This is just one thing. I don’t have to quote all other figures and all other economic indicators. Therefore, the Pakistan – people of Pakistan are yearning for deliverance. And that is why the first step has a lot of relevance. And I think there’s a lot of – a chance of success. I cannot be sure. But I believe that it is better to try and fail than to go down not trying at all. Q: Mr. President, good morning. Welcome back to Washington. MR. MUSHARRAF: How are you, sir? Q: – that we met and visited Pakistan, and also the first meeting you had with President Bush when I was ambassador to the United Nations at our official residence in New York after 9/11. Q: Okay. I stand corrected. And I recall that we were talking about different ways of economic cooperation, including trying to create reconstruction opportunity zones so that we could give preferential treatment to Pakistani products that would come into the United States. So could you perhaps just elaborate a little bit on what your economic platform would be to get Pakistan back on its feet economically again if you were – had the opportunity? MR. MUSHARRAF: Yes, indeed. Yes – sir, thank you very much. I cherish the memory of my association with you, sir. Because you were very frank in our approach. I appreciated your frankness. And you also appreciated my frankness in exchange. You’ve reminded me of the ROZs, sir. ROZ was reconstruction opportunity zones for the development of economic – socioeconomic development of the – of the tribal regions, tribal agencies. And we were also promised $(150 ?) million a year, if you remember. Nothing came about. That was the negative side. So therefore, in the – in this tribal agency, what I want to say is, we have to be fast. We have to be trusting. We have to move fast in delivering and doing something for the people, for the tribal agency, for the frontier – for people of Pakistan, even; for Pakistan, even. Now, economy. Today, the economy of Pakistan is nose-diving downward. I have been analyzing why. Why is it going down, sir? First (feel ?) was, immediately after 2008, when the elected government came into being, one thing that happened: massive flight of capital from Pakistan, going out; Pakistanis taking their – running away with their money. This led to the exchange rate – the dollar, which was held at 60 rupees for eight years between ‘60 and ‘61, shot up to 85. Today, it is 87 rupees. Sixty to 87 rupees, sir. FDI has almost – has gone down considerably; I won’t say it has dried up. So these – the reduction in FDI. Exports have – half the factories have closed; so therefore, revenue collection has gone down. The impact is your fiscal deficit gone down – or increased – your balance-of-payment deficit increased, and your – again, your debt-to-GDP ratio on the rise. I don’t know the latest figure. So these are the negative trends. Why? Because of lack of trust and confidence in the government. I personally think if the people – if there is trust and confidence in the government, merely – without doing anything – there will be a reverse flow of money. After all, Pakistanis want to invest in their own country. They can be motivated. They love their country. Why should they take their money out? They’ll bring the money back. And why would the Gulf, these Gulf sheikdoms and anyone else – why would FDI not come back to Pakistan? I mean, I believe diplomacy and trade relations – mostly, interstate relations have a lot to do with interpersonal relations. And I’m very sure that Gulf and everyone will be – could be persuaded to invest in Pakistan. So if we can reverse both these, the economy will start doing well. I have no doubt in that. And our condition today is not what was there in 1999. The foreign exchange reserves are there. We left them, from $300 million, to $18-1/2 billion. This is what we left for Pakistan. Now it is less. It is, I think, $8 billion or something, but it is there; it is not $300 million. And also, our trade is there, our revenue collection is there. We raised the revenue collection from 308 billion rupees to 1 trillion (rupees). Now it will certainly go down, but not that much. So all this is – the stock exchange; which we went up from – the 1,000 stock exchange indicate – index – had gone to 14-1/2 thousand. In 2007, it was 14-1/2 thousand. It has gone down, but it is at 8,000 or 9,000, I think. So the situation is not as bad. It is recoverable. But what is required is confidence of the people in the government, and the government to perform for the state and the people of Pakistan. I have a simple definition as food for thought, it is my own definition of – for a leader or for any government: Ensure the security, progress and development of the state; welfare, well-being of its people. This is the definition I have. And if this is being ensured, and it can be ensured, all other things are secondary. And why I’ve – why I’ve said this – because I know I’m talking to a U.S. audience – democracy, ladies and gentlemen, is – democracy is a tool to deliver for the state progress of the state and welfare, well-being of its people. It is not an end in itself. It must deliver to the state and the people. So if you have elected government, democratically elected government, but running the state and the people down to the ground, I don’t think that kind of democracy is a democracy that any state wants. So therefore, end product is the state, welfare of the state, well-being of the people, and that must be ensured. So we hope that democracy in Pakistan delivers to the people and the state. MR. MUSHARRAF: Yes, well, I am the culprit. Sorry, my apologies. I am giving long answers. MR. NAWAZ: We will try and get to as many as we can. Q: I’m Harlan Ullman. Mr. President, it’s always good seeing you again. Thank you for your comments. MR. MUSHARRAF: Nice meeting you. Q: I agree entirely with your analysis, but where I respectfully disagree is I don’t think we can wait till 2013. I’m recently returned from another trip to Pakistan, where – I agree with you – the situation is far more dire than people in this country appreciate. It seems to me that the most recent strategic dialogue only procrastinated the inevitable, which is going to be some kind of a collision between the United States and Pakistan because of profound misunderstandings. My question to you is, what, if anything, can the United States or Pakistan do in the short term to turn around what I believe is going to be this collision? MR. MUSHARRAF: Well, thank you, sir. I am surprised, as well as glad, to hear what you’ve said. Well, we – what the United States can do is to help Pakistan, and helping Pakistan is – I have been – very bluntly indicated whatever is happening is not really helping Pakistan. We have to help Pakistan economically, yes, indeed, but concerns of corruption certainly is there. There’s no doubt. So you asked a difficult question, frankly. What the United States – I think if I was there, I would have asked for market access, give market access, so that I can create jobs, I can open factories, and I can do reducing unemployment, I can reduce poverty. Now that is certainly a thing that the United States can certainly do immediately. It can be done immediately. Remaining, I think what Pakistan – on the law and order side, we are being harmed from many directions. We are fighting terrorism and extremism. I think United States need to develop a better understanding of the ISI and the army, instead of blaming the army and the ISI for collaborating with Taliban. I don’t understand why this is done. On one side, the army has suffered 2,500 dead at the hands of the same Taliban or TTP or TNSM or everyone. So they are killing the army men for – and you are blaming the army. So I don’t – (honestly, there’s ?) a mismatch. They are killing the ISI personnel, about 300 dead, out of – I think about eight or 10 bomb attacks on ISI offices all over Pakistan. But yet you are saying we – they are collaborating with Taliban. So there’s a mismatch. Please understand, try to understand. And I would say leave micromanagement to Pakistan. Be concerned with their intentions, that they do not want Taliban and al-Qaida, and be concerned with their strategic delivery. Don’t micromanage for them. They understand who to talk to, how to talk, which enemy to take on board and defeat the other, and then go for the other. Leave this micromanagement to the people of Pakistan. So this is the second, I think – a better understanding. I don’t think you can – we need internal stability in Pakistan, political stability. I don’t know whether the United States can contribute on bringing political stability into Pakistan, but that is the ultimate requirement because it is political stability which will then bring about economic stability, and fighting terrorism and extremism, and good governance. And that – I don’t know whether the United States can assist. We have Sebastian Gorka at the back. Q: Thank you, Mr. President, for your very candid presentation. Sebastian Gorka, National Defense University. If I may draw you out on what seems to be a tension in your presentation, you spoke, with regards to the president’s visit to the region, of your resentment with regards to Indo-centric depictions of Pakistan, that you’re obsessed with India. At the same time, earlier on, you spoke of the fact that the nuclear capacity of your nation is a compulsion, is an existential compulsion. Is that existential compulsion to do with India or something else? If not, then how do you reconcile these two comments, please? MR. MUSHARRAF: It has to do with India, yes, certainly, because if you know, sir, I know of Indian forces – if I were to tell you very briefly, Indian forces today are based on 33 infantry divisions. Twenty-five of them are oriented towards Pakistan’s border. They have got about six armor and mechanized divisions, which are the offensive punch, all six organized against Pakistan’s border. Their forward air bases, with – which are the air bases that are used for an offensive, all oriented towards Pakistan’s border. Their navy, mainly oriented towards Pakistan’s shores. So what do you expect? And when there are incidents like the attack on the Parliament, in my time, the whole army came on to the borders on Pakistan. And therefore, we had to move our army and it was a (world ?) situation developed. What do you expect Pakistan to do? It’s an existential threat, where a force which is three, four times bigger than Pakistan is oriented against Pakistan’s borders. And when incidents take place, then the politicians in India are crying for punishment on Pakistan, attacking Pakistan, et cetera, et cetera. So what does Pakistan – what does the leadership in Pakistan do? It has an existential threat. Therefore I said our military strategy is of minimum defensive deterrence in the conventional and unconventional. Now, previously it was conventional only. With India going nuclear, it is also unconventional now. Q: Jim Moody. Mr. President, very nice to see you again. Thank you for your frank comments. Stepping back from the immediate issues you’ve been discussing that are very important, for those like myself who have lived in Pakistan and love Pakistan, we’re very concerned about the educational system there. I’ve been to many schools where – I’ve been to many villages where it says on the education map there’s a school there, but you go there, there’s no school. They call them ghost schools. Thank goodness that you helped initiate NCHD – that was a good program – but international measures say that only 4 percent of – 40 percent of Pakistani children of school age are in school. Q: This is a huge burden for the future. Stepping away from the immediate issues, political and military, how do we get Pakistan to head towards those Millennium Goals that are so crucial for the long-term benefit of Pakistan? MR. MUSHARRAF: Yes. I couldn’t agree with you more, sir. Indeed, the long-term strategy – human resource development, education, health, poverty alleviation, employment generation – education is the key. This is a knowledge-based economy of the world, and we are missing out. But that is a long-term strategy. Now, how to do it? I do understand we have to do something. What did we do and what needs to be done is certainly more allocation of funds to – for education, but when we talk of more allocation of funds, I increased the budget to education from 2.9 percent to 4 percent. It was miserable. Four (percent) is also miserable. But sir, 1 percent increase is 170 billion rupees. This is the kind of money required, 1 percent increase, from a GDP of $170 billion. Now our total PSDP of Pakistan, which was in – between ‘88 and ‘99 used to be about 90 billion rupees, total GD – PS – the Public Sector Development Project commitment. It was – in 2006, it went to 520 billion rupees. So 520 billion was the (kitty ?). Out of this 1 percent increase to education is 170 billion. So therefore, the difficulty and money requirement. However, I totally agree with you that government has not been performing. You are hundred percent right of ghost schools. I would like to add, there are ghost teachers. Twenty percent teachers in Pakistan are ghost teachers. We carried out a survey in 1996 or ‘7, I think, under the orders of the government. I was then a lieutenant general and a corps commander. In my region we carried out a total survey by the army, by us. Twenty percent schools, 20 percent roughly teachers are ghost, only on paper, money going in pockets. So therefore, we have to do something more than the government. And therefore we created this NCHD. This gentlemen sitting right there, Nasim Ashraf. He came. He was a doctor here having a very good practice. He came and gave me this idea of education and health at the grassroot level. And in education, he came with the idea that we’ll have literacy centers (that are ?) literacy and feeder schools. No brick and mortar, no spending or money. We will take schools from the villages, open school – these feeder schools, get teachers from that village – girls and boys. And I bought the idea. I told him to come to Pakistan, and he did that. And since 2001, (till the ?) – that NCHD spread to 110 districts of Pakistan. They opened thousands of feeder schools and thousands of adult literacy centers. Then there are a lot of philanthropics in Pakistan, lot of philanthropic activity where they are involved in collecting money, donations and opening schools. And they are the best because they do it with a passion. And there are dozens of them. I personally think the government should reinforce the philanthropists because they do things with passion, and make them expand. So I think it has to be a multi-pronged strategy to educate the people of Pakistan, which is so important not only from economic development, but also fighting off terrorism and extremism. It is the root of terrorism. So I wouldn’t agree with you more, sir. MR. NAWAZ: Thank you, Mr. President. Mr. (Kung, now ?) over there. Q: When you were in power, you came across as a Pakistani leader who genuinely wanted a Kashmir solution, and you made many, many efforts to reopen the debate, to think outside the box. And it was reported that you were very close to doing an agreement with India. Is it true? And if it is, can it be revived today? MR. MUSHARRAF: The issue, yes, I think you’re right. We were – I used to be called a man of war, which I was. I was in uniform. But I call myself a man for peace. And I said that with conviction because I said I have seen the ravages of war. I fought all the wars, and all the confrontations with India, or in the region elsewhere, internally against Baluch tribal uprisings, et cetera. I said, “I understand the ravages of which none of you understands. So therefore I am for peace.” And with that idea, I initiated the process with (inaudible), and I initiated the process with Manmohan, I proudly say that initiated with Manmohan Singh – (inaudible) – yes, indeed. We were proceeding well. There are three qualities required in a leader – I think I said this everywhere – for a deal, for some agreement on disputes to succeed. One is sincerity – sincerity to resolve the dispute, from the heart, from the heart and soul and mind. The other is flexibility, flexibility to accept others’ point of view. Third one is the problem area. And that is boldness and courage. Why it is required is whenever you reach a deal like on an issue like Kashmir, there will be a give and take. I mean, none of the two sides will be naive enough to give everything. So there has to be a give and take, and you will have to give – India has to give, and Pakistan will have to give also. That give part becomes problematic because there’ll be agitation in your own backyard. And if there is a leader who buckles under pressure, then he’ll be thinking that my political clout will go down, my popularity will go down, and the people – well, then that interferes in the fast movement towards peace. So I think boldness is required. We were proceeding reasonably fast, in fact. We had worked out the parameters, and we were drafting an agreement. So I think it’s a pity that we couldn’t reach conclusions. Fleeting moments come in the lives of leaders and countries, and the key to success is to grasp the fleeting moment and don’t let it fly past. Unfortunately, they flew past – (really flew past ?). We’ve got about 15 minutes left, but we have a number of questions. I’m going to try and go through them quickly. We have Christina Lamb over there. The microphone’s coming to you, Christina. Q: Yes – why you allowed the Taliban leadership safe haven in Quetta and enabled them to recruit and train. Were you really in – fully in control of ISI? – there’s a lot of evidence that ISI had been helping the Taliban – or do you share their view that some of these people, including the Haqqani network, are actually strategic assets for Pakistan? Thank you. MR. MUSHARRAF: I have to be very careful in answering to you, lest you write something which I – which disagrees with us – (laughter) – which you did before. (Laughter.) Yeah. MR. NAWAZ: It was the safe havens for the Taliban in Quetta and North Waziristan. MR. MUSHARRAF: Yeah. Yes. Safe havens. Now, if you think that I provided safe havens to Taliban in Quetta – I mean, what answer can I give you? People who attack me, who are trying to kill me, I am providing safe havens to them? I mean, it’s – I can’t answer anything other than this: Quetta, we talk of Quetta shura. I mean, a lot of people talk of Quetta shura. There is a (CIA ?) office and ISI office in Quetta. Have they identified where this Quetta shura office is? Quetta shura is a vague statement. There is a – there are refugee camps around Quetta. The biggest camp is 100,000 – about 90,000, which you must be knowing. Have you gone inside this camp? I have flown in a helicopter around the camp, because I thought maybe, if one day we have to put in a military action there, let me see what kind of a place this is. There are lanes inside this where two men cannot cross each other, so close and so congested. Ninety thousand people living like this. It’s a nightmare if there is any military operation in this area. Now, all these refugee – and there are dozens of such refugee camps in Pakistan – all these refugee camps are used for all purposes. Terrorists must be coming and staying there inside. There must be people who are harboring them. But to think that I as the president of Pakistan is allowing this to happen is not the case. It’s a porous border. We introduced checks at Chaman. Chaman is the main border, where thousands of vehicles come and go every day – including, the ISAF vehicles who go to Kandahar go through Chaman border from this – our side. We introduced biometric system there, and passes system, so that we can control the movement across the border. On the Afghan side, they tore all our passes. And in spite of my best effort to introduce a similar biometric system on the other side, nobody has done that. So we have been trying our best to control movements. But on the other side, there is no response. So therefore I would say that while these refugee camps may be a safe haven for any kind of activity, it is not government sponsored. So that is what I would like to say. So there is no safe haven created or no – everything with the Taliban to come and stay there. After all, all the al-Qaida and Taliban leaders of significance, tell me one who has been caught in Afghanistan. All have been caught in Pakistan. And by whom? By Pakistan law enforcement agencies and intelligence, the ISI, in cooperation with CIA, yes, indeed. So I think these are sensitivities which really are – disturbs everyone in Pakistan when we put all the blame on Pakistan. All blame for movement across the border in Afghanistan is on Pakistan. I don’t understand why, why is it not on the coalition forces and Afghan forces. If Afghan Taliban come into Pakistan, why is Pakistan only responsible? Why are the Afghan forces and coalition forces not responsible? Why do they allow them to come into Pakistan? So at least share the blame 50-50. So I don’t understand this. This is what really develops the mistrust and lack of confidence in each other. Q: President Musharraf, let me join others welcoming you here. Q: It’s good to see you again. MR. MUSHARRAF: Thank you. It was lovely meeting you, seeing you again. Q: I’d like to ask you about Afghanistan, about the role of Pakistan and India in Afghanistan. Many people say that the two countries are engaged in a proxy war in Afghanistan. And since you were just talking about peace, is it possible for India and Pakistan to wage proxy peace in Afghanistan? Both countries have interests there. Pakistan has strong security interests. India also has interests. What would you do to move away from proxy war to proxy peace? MR. MUSHARRAF: Thank you, sir. But who is initiating the proxy war, is the first question. Now, what is happening in Afghanistan – I mean, I am from Pakistan, obviously, so please don’t think that I am saying all this just to protect Pakistan. But I know there are many Indians who may be sitting here, but unless we face facts and we fight this terrorism with unity of thought and action, we will fail. Now, what is happening there, and what is happening to Pakistan? I would like to just enunciate. There’s an Indian consulate in Kandahar and Jalalabad, which you all know, everyone knows. Why is it there? Why are these two there on the Pakistan border? Is there an Indian community there? Is India doing some trade there? What is the interest of India in these two continents? Nothing other than carrying out aiding, abetting terrorism in Pakistan, stabbing Pakistan in the back. I have documentary evidence of this. I know Indian intelligence, RAW agents, coming into these consulates. I know the construction activity of roads that they are doing. And I’ve been telling President Karzai, don’t give construction activity to Indians on our border. They could go anywhere in the interior on the west or anywhere; why do they want to build roads? We will build the roads for you. But no, they must build there, where their agents come, because they want to pump in terrorists into Pakistan. Our terrorist, Bramdagh Bugti, who is the grandson of Bugti, who was killed in Afghanistan – in Pakistan, and who is against the integrity of Pakistan – and he said this on television and in the media, that he doesn’t – they don’t believe in Pakistan – he is sitting in Kabul, sir. He goes to Delhi. He’s received by RAW agents. I have seen the photographs. So let me say this to this august gathering. All training of Afghan diplomats, police, military, intelligence, takes place in India. I have been offering everything to Karzai. Nothing in Pakistan, all in India. What is happening, sir? We are being stabbed in the back. So what does Pakistan do? What should ISI do? ISI’s supposed to protect Pakistan’s interest, and that is what they do. So therefore the United States must understand what is happening. And let me say – I have said this very openly to everyone – help Pakistan in stopping all of this. There must not be a proxy war there, I totally agree. But please understand who’s doing it and why it is happening. MR. NAWAZ (? ): Thank you. Good question. Q: Thank you. Thank you, Mr. President. You made some remarks earlier on regarding the conduct – by the way, my name is Paul Aulibra (ph) from Shirat (ph) – some remarks about the conduct of military operations in Afghanistan, and you made some suggestions regarding empowering local tribes and leaders, et cetera. Now, that seems to run contrary to what is the at least the official strategy of ISAF and NATO and Gen. Petraeus of building up the Afghan army and the national police. Now, do you see a possibility of your ideas or similar ones of empowering tribes and local leaders to take place? Is there anybody who can listen to this? Or are we doomed to fail because of this idea that we need to build national institutions and, first and foremost, the army and the police? Thank you. MR. MUSHARRAF: Well, I – it’s not in conflict, whatever – if we are developing Afghan National Army and police, and we can raise them to a level where we can have – avoid dilution in space, as I said, that is a good course of action. But I had said an added possibility – if we cannot have that possibility of lashkars, then we must raise more Afghan National Army. Well, I’m not against it at all. Police and Afghan National Army is the answer. Ultimately, they are to take over. But my (grudge ?) against that is I hope ethnic balance is being maintained. Now, if they are to be again Tajiks, I’m afraid you are pushing more Pashtuns to the Taliban. And the moment you leave, with this kind of a force, there will be war there, total war, with all Pashtuns fighting these people, ‘89, revival of ‘89. So therefore we must have ethnic balance, and we must have Pashtuns in governance in the dominant position, not in governance alone, not in having one or two ministers having been given useless portfolios, and saying that we have Pashtun ministers there. Karzai himself is a Pashtun. But under his rules, the Afghan National Army is all Tajik. So how is this happening? And this is what alienates the Pashtuns. We must have the Pashtun on board. So therefore if the police and Afghan National Army is being raised in large numbers enough to police the border and the cities and towns of Afghanistan, that’s very good. I think that’s the right strategy. MR. NAWAZ: Thank you. Mr. President, we are getting near the end of our time. So I’m going to request the last two questions. And this is in the order that I recognize. And so Pam Constable over here, and then Mr. Segalin (ph) at the back. Q: Good morning. General, it’s very nice to see you again. I’d ask – I’d like to ask you about a different militancy problem, not one coming from Afghanistan, but one coming from within the country, particularly Punjab, particularly LeT. You mentioned the dilemma of drones. Pakistan also faces a dilemma of how to deal with groups that have been very helpful to it in the past with India, and I believe has even offered again to join with the army against India if necessary, but that are in fact causing havoc. I have heard from U.N. officials as recently as yesterday saying that LeT saw the Mumbai attack as a fantastic success because of the fact that it destroyed so many promising chances for peace between the two countries. And given the fact that you’ve banned so many of these groups, and they came back and they came back, I’d also like to ask you one of many things I’d like to ask you about your own time in office; I will ask you only one. Given everything that has happened since July of 2007, did you make a mistake at Lal Masjid and Jamia Hafsa? Thank you. MR. NAWAZ: At Lal Masjid. Q: Attacking Lal Masjid and the brothers. MR. MUSHARRAF: LeT and – I have hinted at the history that in 1989, Kashmir’s freedom struggle started. And with Kashmir’s freedom struggle, the first group that erupted was Hizbul Mujahadeen in Indian-held Kashmir. Because of the suppression of the Indian army, they ran into Pakistan. So Hizbul Mujahadeen came about. And then Lashkar-e-Taiba erupted in early ‘90s. And later, toward the end, it was Jaish-e-Muhammad. Now – and many other names which I don’t even remember, frankly – dozens of mujahadeen groups came about in Pakistan. There was such public sympathy, that no government really did anything about it. And also, may I say, since they were going to Kashmir and fighting the Indian army, it went along with the psyche of the people of Pakistan, with everyone. After all, Kashmir cause has to be solved, and India was refusing to even table it in any form. It was not allowing Pakistan any room towards resolution in the United Nations or anywhere. Therefore, it went along – this mujahadeen activity went along with the psyche, with the thinking of the entire population of Pakistan. Then comes 9/11, and now we join the coalition, and there is Taliban and al-Qaida and everything. These very mujahadeen groups whose orientation was Kashmir, they turned their guns inwards and they developed nexus with Taliban and al-Qaida. Now, this is the bigger problem area, that they are involved in terrorism in Pakistan. Therefore we need to – I – as you said, I had banned almost all of them. You bring me back, I’ll ban them again maybe, but it’s easier said than done. Allow Pakistan government and the intelligence organizations – allow them, with patience, some time. You can’t rock the boat so much that the boat capsizes. So therefore, while these things have to be done, allow piecemeal, gradual action through a well thought-out strategy which does not disturb the entire law-and-order situation in Pakistan. So this is what I would like to say. Yes indeed, there is a requirement of reining in these groups. By the way, the Jamaat – this Lashkar-e-Taiba’s other wing, the Jamaat ud-Dawa, they did the best work in earthquake. They did an excellent job in the relief operations just now in flood. So you’re dealing with a situation which has popularity in the people. When they weren’t fighting Kashmir, it’s very popular with the people of Pakistan. They are mujahadeen, they are fighting Indian army. Why? Kashmiris are being killed, so therefore we must help and we must fight. So it’s a difficult situation for any government in Pakistan. So the root is resolve the Kashmir dispute, frankly. That is the root, and that is my concern that President Obama goes and doesn’t even talk of – for heaven’s sake, if you are – in this unipolar world, you are a sole superpower, you have responsibilities towards everyone. So therefore, I thought maybe at least he should have mentioned that you need to – (two of ?) you need to resolve this Kashmir dispute. So this was – the other point, the Lal Masjid, certainly I didn’t do anything wrong. In the heart of Islamabad, people take over the Red Mosque, 2,500 people there, and mostly they are Jamia Hafsa, the women. About another 2,500 with weapons, with ammunition, with explosives, with suicide jackets inside the mosque in there. We were being humiliated. The government was being insulted. Pakistan’s writ, the government – writ of the government was challenged by these. And only one kilometer from the diplomatic enclave, I remember the alarm that was caused in the diplomats. They’re sending their families out, and these people getting Chinese and beating them up inside that mosque, so we had to take action. But before taking action, I did everything to bring them to – towards an understanding. And I used all religious lobbies – the Council of Islamic Ideology, the (Waqf of Modares ?). I called the Imam Kaaba from Saudi Arabia and every – everyone. When everything failed, but we succeeded in getting the thousands out and only 150 terrorists were left, there was an attack. And that is what we – Pakistan cannot be declared a “banana state” – “banana republic,” where it can’t act when the writ of the government is challenged – at least, not under me. MR. NAWAZ: Mr. Sigaland (sp), at the back. Q: I’d like to ask, if you become the next leader of Pakistan, will you stop all drone attacks and prevent drones from being used to actually fire missiles, only – will you just use – allow them to exist for gathering intelligence? MR. MUSHARRAF: We’ll cross the bridge when I – when we reach there. (Laughter.) First, you get me there, then I’ll decide what to do about – (laughter). These are – I said it’s – there’s a – there’s a dilemma. We have to resolve this dilemma. While we must target militants, we must not do something which disturbs public opinion massively in Pakistan. So we must get to some solutions. The dilemma has to be resolved. I don’t know how to resolve it but, yes, it has to be resolved. MR. MUSHARRAF: Thank you. Thank you. FREDERICK KEMPE: Thank you and welcome to the Atlantic Council. I’m Fred Kempe. I’m president and CEO. And I’d like to particularly acknowledge and thank our esteemed colleagues and co-chairs of this task force: Sen. Chuck Hagel – also chairman of the Atlantic Council – and Ambassador Stuart Eizenstat. The South Asia Center was launched last year at the council under director Shuja Nawaz – actually now almost going on two years, two years now. And we launched it because we saw that a focus of U.S.-European relations would be dealing not just with Afghanistan and Pakistan, which people usually connect with South Asia in this town, but also Iran. And this has become a central forum and point of contact for policy members, members of Congress, as well as European and regional leaders. We’ve had a long string of European officials dealing with these issues, coming through and meeting with us as well. And we do focus on the wider South Asia, which does mean the geographical subcontinent as well as Afghanistan, Central Asia and Iran. And we see this as a whole. You can’t just look at the Iran issue without looking at Pakistan. You can’t look at Pakistan without looking at Central Asia, and you certainly can’t look at it all without looking at Iran. So Iran is of special importance to the center and the council because of the U.S. role with its government – the difficulties that we all know about. But we are also very interested not just looking at how the U.S. is looking at Iran but also how Iran is looking at the U.S. and how Iran is looking at itself, and looking at its role in the region. Very often, we get so caught up in our own conversation here that we’re not putting ourself enough in the shoes of others. So we’ve been asking through the taskforce, are the U.S. and U.N. sanctions against Iran working? Are there any other negotiating options left for the United States? If a reformist regime were in power in Iran, would it actually make any difference to the U.S.-Iran relationship? And more importantly, I suppose, is how does Iran see itself in this world? And then, who is Iran? Is it Ahmadinejad? Is it Khamenei – Ayatollah Khamenei? Is it the Revolutionary Guards? So Mark Brzezinski and Shuja Nawaz have done an excellent job in pulling together experts and bringing them together to have frank discussions in this room on the current situation and the way forward. And so the issue brief that’s released today to you all and prepared by our friend Barbara Slavin, one of the great experts on Iran in this town, is a culmination of all those meetings. I hope you’ll think it’s a good read. And it will be the first of several briefs that we’ll write on these subjects, you know, looking into different pieces of this brief in more detail, and other parts. We want to thank the Ploughshares Fund for making this project possible through their support. And before I pass the event to Shuja, who will introduce Barbara and moderate the session, I just want to invite Sen. Hagel and Ambassador Eizenstat to say a few words as well. Sen. Hagel. CHUCK HAGEL: Fred, thank you and thank you each for giving us some time today. I, on behalf of the Atlantic Council and our board and our members, want to thank Fred, of course, as well as our leaders of this effort – in particular, my much-esteemed co-chairman, the all-knowing public servant Ambassador Eizenstat, a man who’s had almost every job in government. Stu, thank you very, very much for your personal involvement and commitment of time as you have given this effort. As you will hear today from, in particular, Shuja and Barbara, the essence of this first report, which will culminate in a larger taskforce product. But we think these kinds of briefs are important for many reasons. But it takes people through, we hope, an informed and educated analysis as to not only the complications of this issue – which there are many, as you all understand – but there are very serious consequences for whatever is the outcome on this particular issue, and this issue being the U.S.-Iranian relationship. As Fred had noted – and I think this is in particularly important, and I think is one of the most valuable results of this first report and, I anticipate, of our taskforce final report, is the emphasis on wise and comprehensive focus by the United States and its allies on this issue of Iran. When I say comprehensive, I refer to not only addressing the Iranian nuclear issue, but all the other dimensions of this relationship. That would include, of course, what Fred just talked about: Who is Iran? Who is in charge of Iran? We know those who occasionally will take some time to study a little history and culture, that – (audio break) – is a part of a great product of the – (audio break) – that is, the Persian heritage and the history that, that heritage has brought forth. That is not to be minimized, diminished or dismissed, as any of these historical factors are, when we are trying to analyze policy and how we approach countries and people. And I say “people” in particular because governments don’t always represent the people. There are policies of government, and then there are the citizens of that country. And we reflect on that point when I use the term “wise.” We need to be wise and judicious, and particularly judicious in how we use all our instruments of power. Military is but one instrument of power, and sometimes it is not the most effective. It’s important. And using all of a nation’s instruments of power in coordination and combination of a purpose that’s worthy of that nation’s efforts is what we try to get at in this study. MR. HAGEL: China. He went a little further than Europe. And that – that’s important to note Mark’s contributions because he will continue to play a significant role. So thank you again, and to thank once again Shuja and Barbara and all the participants that helped form and write this brief. We had many very, very informed and experienced experts in this area who took their time to come before this group and give us the benefit of their background and experience and expertise. So we thank them as well. Now, let me introduce my co-chairman, Ambassador Eizenstat. STUART EIZENSTAT: Thank you, Senator. The senator and I developed a very close relationship during the Clinton administration and I really found him to be one of the most knowledgeable and wise people in the country on foreign and defense policy. And it’s been a privilege to work with him on this project. This project is another example of how Fred Kempe has infused a sense of energy and direction to the Atlantic Council since he’s taken over. And Fred, I congratulate you on setting this taskforce up and on Mark Brzezinski’s and Shuja’s work on it. And of course – (audio break). Let me try to – in just literally a sentence or two because I want to leave time for the actual presentation, of why we decided to get into this area. I mean, hadn’t everything about Iran already been explored? Wasn’t everybody in town and elsewhere focusing on Iran? We think that this taskforce has done something that’s unique and will continue to be unique. We start from the proposition that we believe this will be the defining foreign policy challenge of the Obama administration and for the United States in the years ahead. But we also started from the proposition that while many had looked at Iran from different perspectives, no one had actually looked at their domestic reality: what was happening internally; how that affects their view of what the United States and others are doing; how it affects their policy and therefore what we can learn in terms of addressing our own policy to that reality, trying to mold it in ways that are acceptable to the United States but ultimately take into account that domestic reality. And I think that’s what’s new, and that’s what’s novel. And Barbara has done a superb job in her study of doing the first initial rollout for the taskforce. We appreciate it. And I think without any further ado, I’d like to turn it over to her. And again, thank Shuja and Barbara for their work, and Fred for initiating this and the senator for leading it. SHUJA NAWAZ: Thank you, Ambassador Eizenstat. Let me just give you a quick background on what the taskforce has done in the first nine months since we started. Our first meeting took place in May, and we had a presentation by Joe Cirincione of the Ploughshares Fund. We looked at the interests and the views of concerned powers, which included the United States, the European Union, China, Russia, Israel, Turkey, India and Pakistan. And he tried to crystallize how each of these countries envisages Iran’s role and their own real interest in Iran. And then Ray Takeyh of the Council on Foreign Relations provided a briefing on what kind of regional role the present Iranian leadership is seeking for itself and for their country and talked about the strategic and geopolitical aspirations of Iran’s current leadership. Ted Koppel, the producer of Discovery Channel’s special, “Iran, The most Dangerous Nation?” served as the discussant and provided observations and led the question-and-answer session. Then in July, we had another session of the taskforce which focused on foreign policy, looking on the opposition movement in Iran, its similarities and contrasts with the current regime, on nuclear issues, its views on – the views of allies and enemies, and on Iranian foreign policy. And this was a presentation by Dr. Gary Sick of Columbia University. And then we had a presentation on prospects for nuclear diplomacy by Andrew Parasiliti, executive director of the International Institute for Strategic Studies. And that exchange was moderated by Barbara Slavin. Then last month, we looked at nuclear capabilities and strategic goals. And we were very lucky to get Deputy Secretary of Energy Dan Poneman who was at the time when he met them – at the end of 2009, when he met the Iranian government – the senior-most U.S. official to have met them face to face. And we also were lucky to have Olli Heinonen, the former head of the safeguards department of the IAEA. And indeed, in today’s issue brief we have a very useful summation of where we stand on the nuclear issue by Olli Heinonen, who’s a friend and who’s a former colleague at the IAEA. As the senator said, we will continue our work on Iran, making it as unique as possible and as comprehensive as possible. And we’ll be periodically issuing these briefs, and then we’ll come up with a final policy – a set of policy recommendations in due course. Before I give the floor to Barbara to talk about the brief, I just wanted to remind everyone that after she finishes – and if you wish to speak or have a question, if you wouldn’t mind turning your name-tent on its side so that I can recognize you. Then please wait for the microphone to be brought to you so that you can announce who you are, and it can be captured for our audiences. So thank you for coming, and over to Barbara. MS. SLAVIN: Okay. Thanks, Shuja. Thank you all for coming. This is my maiden effort for the Atlantic Council, and I want to thank Sen. Hagel and Ambassador Eizenstat, Fred Kempe, Shuja Nawaz, Mark Brzezinski in China and also Shikha and Alex on the staff here at the Atlantic Council. We did this rather quickly. I think you can all, perhaps, understand why Iran has been much in the news of late. And a lot of people have been giving their opinions about what U.S. policy toward Iran should be. So we thought that it was important to begin to express our ideas and also give some context for the discussion. I’ve tried to do four basic things in the report: first, look at Iranian domestic politics and the divisions that have deepened in the elites since the 2009 presidential elections. Second, I’ve looked at the impact of those divisions on the nuclear issue and U.S.-Iran relations. Third, I’ve looked at sanctions and the impact that they’re having on the Iranian economy – (audio break) – Iran’s foreign policy. And lastly, I make a few very modest suggestions. These are just very preliminary. As Shuja mentioned, there will be much more fleshed out and detailed recommendations at the end of this process. The bulk of the report is about the Iranian domestic scene. And here, the word is factionalization and factionalism. As any student of Iran knows, the Islamic Republic of Iran has never been unified – not before, during or after the revolution of 1979 – when it comes to politics, economics, views on society. And those who call it a totalitarian state really don’t know the country at all. This is not a country where the elite are all forced to belong to one political party as in China or the old Soviet Union. And whenever one faction appears to have completely vanquished its opponents, as seemed to occur last summer after the elections, then that faction immediately splinters. And we have seen, certainly in the last few months, that President Mahmoud Ahmadinejad has had a lot of problems, a lot of clashes with the parliament of the country, with other branches of government and even, on occasion, Ayatollah Ali Khamenei. He has alienated traditional conservatives, members of the old Islamic coalition, Heyate Mo’talefeh. This is a very significant group that – (audio break) – the bazaars and has a hold over a lot of very important Islamic charities, members who are very prominent in the Islamic Revolution and were very important members of the government afterwards. Ahmadinejad is on poor terms with Ali Larijani, who is the former nuclear negotiator and is the speaker – (audio break) – parliament. He’s a member of an old clerical family and his brother, Sadegh, is head of the judiciary; was appointed by the supreme leader. Ahmadinejad has also irritated Khamenei and ultraconservative clerics by promoting a kind of folk Shiite Islam – it’s full of superstition – and by giving wide powers to a member of his family, an in-law named Esfandiar Rahim Mashaei, who has made a number of controversial comments about Israelis, about Iranian nationalism and about so-called Iranian Islam. And there have even been indications now of some friction with members of the Islamic Revolutionary Guard Corps, which is, of course, the institution upon which the survival of the regime rests. There was an article in an IRGC publication that criticized Ahmadinejad for contending that the Majlis, the parliament, was not the most important institution in government. And it said that this contradicted the views of the leader of the revolution, Ayatollah Khomeini, who passed away in 1989. Now, I’m not suggesting that Khamenei, the successor of Khomeini, is about to jettison Ahmadinejad. I don’t think that’s possible. He called his reelection “a divine assessment” and he has really stuck with him, I think, for the time being. But there is a lot of friction. There’s a lot of tension. And I think the outlook is for more of this factionalism, especially as Iran now is phasing out consumer subsidies in the economy. And it’s also approaching yet more elections. It will have parliamentary elections in 2012 and new presidential elections in 2013. Now, the factionalism is intensifying, in part, because of the economic situation, which is quite poor. This is partly due to sanctions, which have tightened considerably this year. But they’re also partly due to Ahmadinejad’s mismanagement of the economy. He squandered oil revenues when the price of oil was high. He handed money out to the poor, to numerous people, but without any kind of real plan. As a result, no jobs – or very few jobs have resulted from this, and inflation was quite high for a number of years. Now revenues are much reduced and the IMF estimates that the Iranian economy grew by only a little over 2 percent last year and that growth in the current Iranian fiscal year, which ends March 31st, will be between 1.5 and 2 percent. And that’s simply not enough to provide the sorts of jobs that Iran’s youthful population needs. The unemployment rate among Iranians under 30 is estimated to be about 30 percent. And 70 percent of the population is under 30. Sanctions are having an impact. They are making it more difficult for Iran to both sell and buy petroleum products. And they’re also frightening away investment in the oil and gas sector. And I contrast this – actually, Ambassador Eizenstat remembers well – when in the mid-’90s, when the Clinton administration approved of so-called secondary sanctions, which were meant to penalize oil companies that invested, I believe $20 million in the energy sector of Iran – (audio break) – sanctions. All of these sanctions were waived because at that time, or shortly thereafter, Iran got a reformist president, Mohammad Khatami. And the Europeans were very interested in engagement with Iran at that time. They didn’t want to confront the country. Now the situation is very different and this is because of what happened in 2009. It’s because of the elections. It’s because of the crackdown. The Europeans are even more exercised about human rights, it seems, sometimes, than the United States is. And so the Europeans have gotten on board and so have the Japanese. Nomura International, which is a unit of the Japanese brokerage firm, estimates that because of Japanese withdrawal from the Iranian oil sector, Iran’s oil production will drop 15 percent by 2015 and exports will decline from about 2 million barrels a day currently to 1.5 million barrels, which is really a significant drop. Now, how does all of this factor into the nuclear negotiations? We are likely to have some talks in the next few weeks. The Iranians announced over the weekend that they’d like to meet in Turkey. But they’re dancing around each other. I think eventually we will have some kinds of discussions. I think the problem is that the political divisions within Iran are such that it’s going to make it difficult for the government to reach a deal that will stick. We all saw what happened a year ago. There was a proposal for Iran to – two-thirds of its low-enriched uranium in return for fuel for a research – (audio break) – which the United States actually provided in the 1960s. This is a reactor that produces medical isotopes. Ahmadinejad brought this deal – (audio break) – and he was immediately attacked by every faction, from reformists to ultraconservative. Ali Larijani, who had suffered a great deal when he was the nuclear negotiator of Iran was the one to cast the first stone. And then others followed and the supreme leader did not, in the end, back it up. The deal fell apart. Now, since then, as I mentioned, we’ve had more sanctions. The U.S. proceeded to sanctions. And the Obama administration pivoted, from the engagement track to the pressure track. There’s a sense that I get from talking to U.S. officials that for the first time since 2003, when the U.S. military was feeling most successful in the Middle East – for the first since 2003, the Obama administration, the United States feels that it has some leverage over Iran because of sanctions, because of the economic situation. Another factor is that the nuclear clock, so called, while it’s still ticking, is ticking a little bit more slowly than a lot of people had feared. And here, I direct you to Olli Heinonen’s excellent summary of the status of the Iranian nuclear program. He writes that although Iran has managed to produce about 3 tons of low-enriched uranium, theoretically enough for a bomb or maybe two bombs, the IAEA would be able to detect any diversion of this material very quickly. And also, Iran is having a lot of difficulty producing more advanced centrifuges. The centrifuges that it uses are an antiquated model that Pakistan provided it with in the late 1980s. And Olli Heinonen writes that Iran is having design problems and also, it’s having difficulty because of sanctions in procuring the maraging steel and carbon fiber that it needs to make these more advanced centrifuges. So this suggests that there is time for diplomacy to work – time for sanctions and engagement to work – without having to resort to other sorts of measures. Now, it’s hard to be optimistic about engagement, about diplomacy, given the history of U.S.-Iran relations, which John Limbert and many others here know painfully well. The pattern has been that when one side was ready for engagement, the other was not and vice versa. The 2009 elections have complicated diplomacy for both sides. For Europe and also for the United States, the vicious crackdown on peaceful protestors that followed the elections last year have made human rights a priority. I know that President Bush talked about the freedom agenda and so on, but for the first time, there is a freedom movement to support in Iran. This is no longer a fiction. And for Iran – (audio break) – once again looms large as a scapegoat for internal unrest. They can accuse the United States of promoting a velvet overthrow, soft revolution, soft war, whatever you want to call it. So we have a stalemate. And I think, still, it’s important that the United States continue to try to engage, if only to put the Iranians on the defensive and to show that it actually is interested in diplomacy. And here, I have a few very modest suggestions. These are very preliminary and, as I mentioned, they’ll be fleshed out when the taskforce – some of them, frankly, I think are no-brainers. Some of them are things that the Obama administration is already doing but perhaps could do a better job at. One of the things that the administration is doing – my understanding from conversations with U.S. officials. The U.S. and its allies are updating the offer that was made last year concerning the Tehran research reactor to take into account the fact that Iran has increased its stockpile of LEU over the past year. We don’t have all the details. There have been some accounts in the press. I think it’s still a bit preliminary and we won’t know, obviously, until there is a time and place fixed for another meeting of either the Vienna group and Iran or the P-5-plus-1. At the same time that the U.S. – (audio break) – offer, I think it would be wise to update a very comprehensive – (audio break) – that was made in 2008. This was presented to the Iranians in Geneva in the summer of 2008 and it looked at possible areas of economic cooperation, easing of sanctions and so on. This offer needs to be looked at again. I think it needs to be refreshed, particularly in light of what’s happened to Iran’s oil sector over the last couple of years. I’m not saying the U.S. should necessarily publicize it or present it. That might be negotiating with ourselves, but if the Iranians do show up and if they look like they’re actually serious, then this is something the U.S. and its allies should have ready. At the same time, the U.S. needs to intensify its outreach to the Iranian people. Sen. Hagel mentioned this. This is very important. Just because we have a fight with the Iranian government doesn’t mean we should not be promoting educational exchanges, trying to get as many Iranian students as possible to study in the United States and offering help to Iran in areas such as earthquake prediction and treatment of drug addiction and HIV/AIDS, where the United States and its NGOs have something to offer. Now, I don’t know if the Iranians will accept it. In the past, they have. And this is certainly still a possible area for discussion. Another area which I highlight in the report and I think is very important is Afghanistan. This is, perhaps, the one area where the U.S. and Iran are largely on the same page. And certainly, they should be talking to each other. I don’t know if the Iranians will help the U.S. They certainly haven’t always been of assistance, although they were after 9/11 in getting rid of the Taliban at that time. They have a common interest with the United States in stability in Afghanistan, drug interdiction and preventing the total return to power of the Taliban. There was a recent meeting in Rome where an Iranian official participated and he got a briefing from Gen. Petraeus and he was very impressed, I understand – from my Iranian sources. I think this sort of meeting certainly should be repeated and the Iranians should be made to feel that we understand that they have a huge stake in what happens in Afghanistan. After all, they’ve had the largest number of Afghan refugees in their country for many years and they suffer from the drug problem. Finally, the area of human rights. This is something that the Obama administration got a bit of a slow start on, but I think they’re moving on a bit more. U.S. advocacy here is very important. Senior officials from President Obama on down should continue to condemn Iranian human rights abuses. And they should urge Iran to release some 500 political prisoners – (audio break) – are being held in that country, be it students, journalists, women’s rights advocates and lawyers who were jailed for defending these people. Iran is not living up to its international commitments, let alone its own laws on human rights. This should be pointed out. And there’s been a suggestion, also, that the – (audio break) – the U.N. could name a special representative – (audio break) – human rights. I think that would be a very good idea. There needs to be pressure put on Iran. We’ve noticed that Iran does respond to pressure. The incident of the woman who was sentenced to stoning for adultery – there was a huge cry and she has not been stoned. She’s not been executed. So Iran does react when pressure is put on this issue. And finally, the U.S. should continue its efforts to help Iranians access the Internet and satellite television so they can get unbiased news and they can communicate more easily with each other. Ultimately, I believe that history, demography and the educational level of Iranians means that this country will have a more democratic and less onerous form of government in the future. But this is up to Iranians to lead this movement. We can’t do it for them. Iran has been struggling to achieve a representative government for more than a century. And it’s frankly, I think, better equipped – even now with all the repression that has occurred since last year’s elections, it’s better equipped to have this sort of government than countries that the United States has promoted regime-change in. I think that in the interim, while this process goes forward in Iran, Washington needs to exercise strategic patience. This is in the title of my – (audio break). We need to do nothing that is going to get in the way of this political evolution. Ultimately, Iran is going to reassume its rightful place as a major regional power that contributes to the peace and prosperity of its citizens and the wider world. And I’ll leave it there. MR. NAWAZ: Thank you, Barbara. I’m going to let you take a little breather and ask the first question, if I may, but I’m going to pose it to our co-chairs. MR. NAWAZ: Senator and Ambassador Eizenstat, as opposed to strategic patience, there appears to have been, within the last week or so, some signs of strategic impatience within the corridors of power in Washington. A column in The Washington Post by David Broder appeared to suggest that ramping up for war, if not actually going to war might be a good – (audio break) – President Obama to undertake in order to help the economy. And then Sen. Graham has been talking also about the need to perhaps punish Iran in a military maneuver. What do you think are the – (audio break) – of something like this becoming viable? And it is even advisable at this stage to be throwing out these ideas? MR. KEMPE: And let me put a question on top of that because I think it’s related and that is, those who argue against strategic patience would argue that what you’re saying is, give Iran the time and space it needs to fully develop its nuclear-weapons capability. So is that a potential outcome from strategic patience and is it an outcome we can live with? Ambassador? MR. EIZENSTAT: Let me answer in a couple of ways. The first is, I think that so long as we can demonstrate that the sanctions are really biting – and here, the EU’s efforts to really engage in significant sanctions beyond that which most thought they would on the financial sector are having a really significant impact. It’s much more costly to ship goods, to import oil. And this is an area where we need to do a lot of work with China and see that China doesn’t fill that gap. But I think that Iran is not North Korea. It recognizes that – (audio break) – integrated into the world economy. And to the extent that – (audio break) – a real show and demonstration of global solidarity on sanctions, I think it will bring them back to the table – number one. Number two, this is a time when if there ever was a need for it, Sen. Vandenberg’s admonition of politics ending at the water is really crucial because this is a time when we’ve got to make sure that we have a bipartisan effort. There’s a lot of polarization that’s going to occur and I think that this is a time when we need to have and show a united front. Number three, I don’t think that Barbara is suggesting – and I certainly wouldn’t – that by strategic impatience, we mean indefinite patience. Because we recognize that each day, even with the centrifuges not operating as efficiently as they can, that more and more enriched uranium is occurring. It’s being enriched up to a 20-degree level. There is work going on, on weaponizations, of miniaturization, of increased missile capacity. And so patience is important but it’s not something that is infinite and the Iranians have to see that. I think we’ll be in a much better position to know what path to take when we see how these negotiations, which are certain to occur, and probably this month, really – (audio break) – are the Iranians serious? Are they willing to go back to a sort of Geneva-plus, Vienna-plus proposal, taking into account the additional amounts of enriched uranium, or is this going to be a long and indefinite stall? And I guess the last point is in terms of military options. That has to be on the table. The administration has kept it on the table. The Israelis have kept it on the table. But it is on the table at this point because it is recognized that there are profound fallouts from that and that the military option can’t be done with a single isolated strike as could occur with the Syrian reactor or the Iraqi reactor 20 years ago; that they’ve diffused their system, they’ve put it underground and that it would take considerable effort over a prolonged period of time to do great detriment to it. So that is not to take it off the table. Quite the contrary. But it is to suggest that before one leaps to that, one has to look at all the other ramifications. And I would say to give sanctions a chance to work. They are working. They will continue to bite. And we have to hope that at some point, the leadership, as diffused as it is in Barbara’s excellent analysis, will come together to recognize that the costs of pursuing militarization and a military capacity are greater than what the effort is worth at this point. And I think this – (audio break) – that the administration and others haven’t quite come to. And that is, what is our goal? Is the goal to stop all enrichment? Is the goal to simply stop a military capability? Or is the goal to stop total weaponization? Those are very different checkpoints. And I think it’s very clear that we try to achieve a bipartisan agreement on what the actual realistic goal is. MR. HAGEL: Well, as usual, Ambassador Eizenstat has framed it up exactly right, at least, I subscribe to everything Stu has just noted and as he has presented it. I would add only this: As to the use of military force, whether it’s for a political motive or not, I don’t think I have to remind the public that the United States of America is currently in two wars – two of the longest we’ve ever been in. And before we finally wind our way out of each, they will be the longest wars we’ve ever engaged in. Second, if you subscribe to what Barbara has laid out – at least, what our taskforce has found – in particular, the internal dynamics that are occurring in Iran, then why in the world would you, as Barbara has noted, want to get in the way of that? We do have some rather significant evidence that sanctions are working. And they’re working because we – our government, our policies; imperfect, flawed problems; every policy has those. But nonetheless, it has accomplished something even bigger than sanctions. And that is they have brought a consensus together of most countries – the European Union, the Chinese are involved, Russians are involved. We have a rather significant consensus on this issue up to a point. And I think all you need to do is reflect on the United Nations’ vote on this as a pretty good indicator. Now, that alone won’t change the dynamics. But as Barbara – (audio break) – if you subscribe to what our taskforce has come up with, then aren’t we wiser to let this play out? Aren’t we – (audio break) – wiser, rather to get ourselves into another very difficult predicament because – (audio break) – we do also know that wars have – (audio break) – most of the time and especially – (audio break) – where we live in a day they have unintended consequences. They have uncontrollable consequences. We live in an interconnected global – (audio break) – and I think, again, we should factor that in. Last point I would make: as to the question of, well, but aren’t we just allowing the Iranians to buy time? Maybe. We have to recognize that the real world is about risks. You calibrate your decisions and your policymaking based on that risk analysis. Is it riskier to go to war right now or is it riskier to pursue the policies that we are pursuing? Policymakers have to decide that. They have to sort their way through that and then they come to a decision. It’s my analysis – and answering your question, Shuja – that it is far riskier to talk of war and to go to war. As the ambassador has noted, we are the mightiest military force on Earth. The world has never seen such military power. But that military power must always be tempered with a purpose. And the military option is always on the table – of course it is – for any sovereign nation. But at the same time we recognize that, that option is there. So that’s how I would add to the ambassador’s comments. Thank you. MR. KEMPE: Let me add two sentences, just for the record, about the Atlantic Council. Sen. Hagel, a Republican; Ambassador Eizenstat, a Democrat. It’s not the reason they were picked and not the reason they decided to do it but it just reflects that we’re after a centrist, consistent policy not only on Iran but really on all American foreign policy with our allies. MS. SLAVIN: I like that. MR. NAWAZ: Thank you, Fred, for clarifying that. And Senator, you mentioned “Alice in Wonderland” and on picking up on Ambassador Eizenstat’s very useful suggestions, particularly the one about defining ones goals, that there is one of my favorite quotes from “Alice in Wonderland” – that when you don’t know where you’re going, any road will take you there. (Laughter.) So I think we do need to decide which road to take. And so my first question to Barbara before the audience joins us in the questions, is: Is Afghanistan going to offer that first opening, perhaps? Because in the end you have to deal directly with the government. You can’t negotiate with the people of Iran. You have to deal with the government that’s in power. So do you see Afghanistan as offering that opening? MS. SLAVIN: Well, as I was preparing this, I had some conversations with administration officials and one said that, you know, they don’t see Afghanistan, somehow, as the silver bullet that solves our problems with Iran. But I think they do see it as an area where Iran and the United States not only have common interests but really do need to cooperate. If Afghanistan is going to be stabilized it’s going to need all of its neighbors to sign onto whatever, say, coalition government may emerge or whatever peace talks may emerge. So I think it is one area where the U.S. and Iran can talk to each other without a lot of baggage, without a lot of difficult history. Although it’s a different government, a different president that’s in power now in Iran than in 2001; if you look back at that period not only was Iran supporting the Northern Alliance, which was so pivotal in getting rid of the Taliban in 200, but the U.S. and Iran actually had, fairly, senior diplomatic talks from the fall of 2001 through May of 2003 in Europe. They were led by deputy assistant secretaries of state and so on. And this was a period that now a number of people, like Ryan Crocker, look back on as, sort of, the golden age – Jim Dobbins. You know, when these were very productive talks. Members of al-Qaida were turned over, were extradited, understandings were reached and it’s sort of a pity that, that ended with the U.S. invasion of Iraq. I don’t know if you can get back to that but certainly you can include Iran in all the various multilateral discussions that are going to be held and we should do that. MR. NAWAZ: Thank you, Barbara. And now we open the floor to questions. So who would like to start? Please wait for the microphone and please identify yourself for the record. Thank you. Q: Richard Sawaya with the National Foreign Trade Council. You mentioned Afghanistan. That’s one of the two wars that we are embroiled in. What about extending – I’d be interested in your views relative to the crisis, the political crisis in Iraq where we have more blood, treasure and unintended consequences, arguably, than in Afghanistan. MR. NAWAZ: Barbara, if I may just repeat the question for our television viewers. What about the war in Iraq? MS. SLAVIN: Sure. I went – (audio break) – Iraq in this brief. That might be a topic for a second one. Iraq is – it’s interesting and everyone has always said well, of course, the Iranians got a lot of influence when we got rid of Saddam and that’s true. But I think the Iranians are tearing their hair out about Iraq, too, right now. I remember getting an e-mail from an acquaintance of mine in Tehran predicting that Maliki would be reconfirmed as prime minister right after Ramadan. Now, that was when? Back in the end of August, September? (Chuckles.) And we still, of course, don’t have a new Iraqi government. This is more ticklish because, although, there have been reports that Iran is giving some support to the Taliban now, the reports of Iranian involvement in Iraq are much more serious. And we know that American servicemen and women have died because of IED technology and special groups and others that have been supported by Iran since 2010. So the U.S. and Iran have not really been able to cooperate in anyway on Iraq – (audio break). Will that change? I don’t know. That’s why I suggest Afghanistan because we have the history of cooperation there. You know, it’s ironic in – I mentioned these talks that were going on from 2001 to 2003. They’re actually – they were Iranians offering to help the United States and Iraq as well, when it became clear that the U.S. was going to be invading that country as well. And the Bush administration said, no thank you, we can manage this on our own. So one has to think what – how history might have been different if we had decided to cooperate with the Iranians in 2003 and Iraq. MR. NAWAZ: If you could just wait for the microphone, please. Assuming what Sen. Hagel was saying is correct, that attacking Iran will have unforeseeable consequences – (audio break) – any observer would conclude might involve – or very much could involve the necessity for ground troops. How, at this point, can – (audio break) – threat on the part – (audio break) – states and give – (audio break) – two wars? So, again, my question is – (audio break) – repeatedly saying all options are on the table – (audio break) – help any of the causes that have been laid out or that are of concern to the taskforce? MS. SLAVIN: Well, my personal view is that, you know, the United States has to say it but it’s an option that should not be exercised at this point. I take my cue from, actually, Iranians, particularly members of the Green movement, who say that the one thing that could destroy the chances for democracy in that country for another generation would be a U.S. attack on Iran. I think perhaps Ambassador Eizenstat and Sen. Hagel will be able to respond better as to why you have to say that, that option remains on the table. MR. : And Ambassador and Senator, if either of you want to comment on the Iraq question as well. MR. EIZENSTAT: I guess, I would say that if you really don’t mean it and they know you don’t mean it, it’s not significant. But from my standpoint, while I agree with everything that’s been said with and emphasized, that we need to give sanctions a chance to work. We need to give the increasing isolation that Iran is facing a chance to change their policies. We need to avoid, in effect, driving the opposition into the hands of the more radical elements. We also have to send a very clear message, in my opinion, that what is most unacceptable is Iran having a nuclear bomb. And if they don’t understand that we think that, that is, indeed, unacceptable, then they have, perhaps, no incentive to change. (Audio break.) There’s always an escalating sense and you know there things short of bombing. We’ve seen already news reports of worms in – you know, in some of the machines, the seamless machines that drive the centrifuges. I mean, there are a whole range of actions that can be taken to slow down and even cripple the process short of this imagery of having 100,000 troops invading and waves and waves of bombers. We have a lot of options. But, to me, it really is critical to make it clear to Iran that we’re giving them this extra time. We’re going to keep the sanctions pressure on. We have the strategic patience but that, at the end of the day, it is not acceptable for Iran, as it is currently led, to have a nuclear bomb and, in my opinion, a nuclear capability. And if we don’t send that signal then I think we’re in serious trouble. MR. HAGEL: Well, I would add this: I’m not so sure it is necessary to continue to say all options are on the table. I believe that the leadership in Iran, regardless of the five power centers that you’re referring to – whether it’s the ayatollah or the president or the Republican Guard, the commissions – have some pretty clear understanding of the reality of this issue and where we are. MR. EIZENSTAT: Yeah, I would just again emphasize, number one, that we need to give, as Barbara is suggesting, sanctions and a potential outreach on a more positive and broader initiative a chance to work. But if it’s rejected, we have to consider ramping up sanctions more. But we also, again, have to make it clear, in my opinion, that it’s not acceptable for Iran to have a nuclear weapon. There are a lot of things that go along with that, that are short. And that’s my point. Not that we put 100,000 troops in but there are a lot of things short of that that can be taken against Iran that can be very disruptive. I hope we don’t have to get to that. But I don’t think the option is sending 100,000 troops in or doing nothing. That’s not the option. We have a whole range of options and we have a little bit of time more, as the report indicates, than we thought we did six months or so ago. MR. KEMPE: We’re excusing Ambassador Eizenstat who had a previous appointment. Thanks very much. We really appreciate it. MR. NAWAZ: Thank you, Ambassador. Q: Hi, my name is – (inaudible) – from the Brazilian Embassy. Just a quick question. Iran has been under U.S. sanction for the past 30 years. So why do you think it’s going to work now? Why is it easier to negotiate? Why do you think it’s easier to negotiate with Iran on the sanctions? MS. SLAVIN: Yeah. I mean, Iran has been under one form of sanction or another from the U.S. What’s different, of course, is that these are now multilateral sanctions. As I pointed out, in the mid-’90s when the U.S. had a policy of dual containment; Europeans, Asians were all blindly going on their way signing agreements with Iran. There was a lot of business. That has changed. And actually, the report – you know, we have seen a shift. European trade is coming down. China, for a time, seemed like it was going to fill the gap, but even Chinese imports of Iranian oil are going down now. And also, Chinese investment in the Iranian oil sector is going down now, according to a report that I cite in the issues brief. I think the world is getting the message that this is a government that is not behaving well. And the U.S. has never had this kind of consensus behind this policy. So I think it has a much greater chance of working; unilateral – (audio break) – also work but multilateral sanctions – (audio break) – do. And you see where – (audio break) – the Iranian officials. The former president, Rafsanjani, said recently that these sanctions are no joke and that Ahmadinejad should pay attention to them. There’s lots of commentary even in the very controlled Iranian press about the impact that sanctions are having. So I think that it is a different situation now. MS. SLAVIN: – you know, we all knew before, that this regime could, on occasion, be very brutal and that people were executed and assassinated and so on. But we never saw it before the way we have seen it now on YouTube and Facebook and so on. And it’s – we also have a new crop of Iranian émigrés, people who were part of the reform movement who’ve been forced to leave the country since last year. And they are very outspoken. And you know, they have fresh information and knowledge about the society that perhaps we didn’t have before. MR. HAGEL: If I may, I’d like to add just one thing – one point of perspective because it rarely gets brought up for obvious reasons. The whole nuclear issue did not begin with this administration, this being in the Iranian administration or previous administrations after the revolution in 1979. The nuclear program started under the shah, who was our puppet, essentially. We financed him. We liked him. We set him up – well, “like,” maybe too strong a word, but it was clearly in America’s interest to have a strongman dictator. When you talk about revulsions of human rights, history is instructive here. And so I think – and not to defend anything or anyone, or certainly not this current government in Iran, but when we’re looking at this – and this is why taskforces are important and taking time to hear from experts. Let’s open up the aperture here and get the entire vision and understanding of history. That wasn’t that long ago – 1979. The people of Iran remember that, not all of them. As Barbara said, they have one of the youngest demographies in the world, which is hopeful and good for freedom. But we’ve got to also factor in the frame of reference and the framework of thinking of a lot of the Iranians and the brutality that came as a result of the shah’s actions that we supported, that we propped up. And it goes back a few years before 1979. So again, that doesn’t change the dimension or the dynamics or the risks or the threats. But it is instructive to go back a little bit and understand why certain countries think the way they do, certain people think the way they do. It was noted here earlier and I really do believe this and in fact, I was with some people last week who are currently leaders in that part of the world and there were two Iranians in the group. And they said one of the things that would fasten that society back together – quicker than anything else – would be in a military attack and that would bring the Iranians back together for cultural reasons, for historic reasons. Now, maybe a military option eventually will be the only thing that’s left. I don’t know that. But again, like we have said, we better be careful and we’d better think through that and employ every other option before we have to make that decision, if we have to make it. MR. NAWAZ: Thank you, Senator. We have a question here. MR. NAWAZ: Identify yourself, please. Q: Benjamin Raff (ph) from the Heritage Foundation. The ambassador said unacceptable and I had a question – what that exactly means when there’s five countries or six countries that keep on saying this, that it’s unacceptable and Iran keeps on enriching uranium. And we have the example of North Korea. And at that time, those same countries said it was unacceptable and it actually happened. So what does that actually mean? And the other question is with the word “democracy.” When you say you want a democratic Iran, we’ve already said that Iran is not a totalitarian regime. There’s many different centers of power. So I guess what you mean is you want a country with more human rights. And how does that exactly serve American interests? It serves the interests of the Iranian people, but is that something that we should take risks for as American policymakers? MS. SLAVIN: Well, it was Ambassador Eizenstat who said it was unacceptable. I didn’t say that. (Chuckles.) You know, my personal view – and this is just my personal view is that the United States could probably contain, deter, live with a nuclear – (audio break) – a nuclear Pakistan, a nuclear India, a nuclear Israel, a nuclear North Korea. There are a lot of – (audio break) – I’m not sure they would ever actually go all the way to a weapon. I think it frankly doesn’t serve their strategic interest to actually have the weapon. I think it serves their interest to have the world think that they might have the weapon and they would go beyond that. But that’s something that we can address, certainly, as we work our way through this – (audio break). I think the United States should – (audio break) – their definition of what it means by nuclear capability, nuclear-weapons capability, should decide whether it can put up with some limited uranium enrichment or it’s opposed to all enrichment. These things all have to still be clarified. On the question of democracy, vis-à-vis human rights, I think what Iran – what Iranians want is a more representative and less brutal government that will be focused on their national interests. And frankly, if Iran had a different sort of government, I don’t think the world would have such a problem with Iran having nuclear weapons. It’s the nature of the regime that makes it, quote, unquote, “unacceptable” because Iran, as we know, doesn’t act as a very constructive player in a number of areas in the Middle East. And it treats its own people very poorly. So whether you call it democracy or you call it human rights, I’ve spent a fair amount of time in the country over the last 14 years and I think I have a sense of what Iranians would like, ideally, if they could get it. I’m not sure that they would a complete transformation, but they certainly open to a freer system where people will not be thrown in prison for demonstrating peacefully on the streets, certainly won’t be shot to death for demonstrating peacefully on the streets. MR. NAWAZ: And that’s what you appear to be suggesting with your various other measures such as greater access to the Internet, greater freedom of communication inside the country, that the U.S. and other countries can help. We have a question from Ambassador Limbert. Q: Thank you. John Limbert, university professor. Barbara, first of all, I want to thank you for a very memorable phrase you’ve used about Iranians, which I have stolen on numerous occasions, which is the Iranians consider themselves the Rodney Dangerfield of the Middle East. (Laughter.) They just don’t get no respect. And in so many areas, including the – (audio break) – this issue of respect, of being dictated to, it comes up over and over again. And we hear it – we hear it from President Ahmadinejad. We hear it from many others. We hear it in the context of the nuclear program. We heard it in the context of the Tehran research reactor deal. What is your view – and Sen. Hagel, yours, is what is behind this statement? How does one deal with something like this? Is this a smokescreen for other things? Or is there some way of dealing with it and how you view this constant refrain in the Iranian position? MS. SLAVIN: (Chuckles.) Well, John, you’re much more than a university professor as everybody knows. John was most recently deputy assistant secretary of state for Iran. And your – one of your contributions was to help change the language that the U.S. government uses toward Iran so that it is more respectful. I think “respect” is a very important word and President Obama, when he refers to Iran, always talks about mutual interest, mutual respect and I think this is key to have an understanding of where they’re coming from when we approach any kind of talks with them, any kind of negotiations. You know, we’ve gotten beyond the, you know, Condi Rice formulation of you know what you need to do. We don’t wag our finger at them quite so much as we used to, although every now and then, it slips into the State Department briefings, a little bit of that. Respect is important but so is power and so – particularly the power to inflict economic pain on Iran and I think that the Iranians have shown that when their national interests really are at stake, they can make decisions, whether you’re respectful toward them or not. So I would hope our diplomats would use appropriate language. Iran has very skillful diplomats. Even now, after the purge that Ahmadinejad has inflicted on the foreign ministry, there are still some pretty savvy people. And one would hope that they will approach talks in a respectful manner toward the United States. Iran doesn’t help its case when Ahmadinejad comes to the U.N. General Assembly and alleges that the U.S. might have been 9/11. (Chuckles.) So you know, respect is a two-way street and I think they understand that. MR. NAWAZ: Senator, you want to add something? MR. HAGEL: Only this. I think Barbara said it very well. I could connect Benjamin’s question into your question because I think they do present an integration here of interests and ultimate outcomes. When you connect what Benjamin, what he asked, regarding what does this mean, when you say these things like “unacceptable,” “weapons,” what is acceptable? Enrichment, uranium, what rights do countries have to possess nuclear power and nuclear capability? Which we have stated that all nations have that right. Where is that line and it blurs over, it seems to me, into what you’re talking about. And you are as knowledgeable about this, John, as anybody, certainly anybody in this room. It blurs into your point because if we have any hope of making any progress through the diplomatic channels and all the other influences that we are using and coordinating to influence an outcome, that is all going to be framed and partially part of whatever acceptance there is to what will we accept? What will Iran accept? And I go back to this real example. The Turkish-Brazilian so-called compromise, which essentially, basically, we laid that on the table a year ago. And then we walked away from it. It wasn’t only our fault. The Iranians blew it up too. That’s not a new assessment. So my point in bringing that up, the Brazilian-Turkish point is because it goes back into Benjamin’s point because it starts to get to the issue which we’re all going to have to get at and get to at some point. What are you willing to accept? How much and how do you do that? The Russians, if you remember, put that deal on the table a couple years ago, that we’ll enrich it, return it and so on and so on and so on. So this also gets into the technicalities and the depth of this, that I don’t think you can pull apart. It is all woven in that same fabric and this is part of the – the real complexity, as you know, especially, John, and many in this room, is trying to find some resolution here. And I think what we can – what we need to do, as much as anything else, and it goes back to what Stu was talking about, what we all have referred to, Barbara, purpose, so on, is just try to continue to put this issue, not unlike the Middle East peace process, on a continuation of high ground. I don’t think you’re going to solve the Iranian piece. And I don’t think it’ll be solved in six months. Maybe it will be, but all these questions. It’s like the Middle East issue. If we continue to keep moving it up on higher ground, higher ground and get it to some point where there is a confluence that will dictate a settlement, that will be in the interest of all countries. The last point I’d make, we should not underestimate, again, and Barbara’s brought this – Fred talked about it initially, the regional aspect of this. This is critical and it’s something that I have always thought we made huge mistakes when we went into Iraq and Afghanistan the way we did it, that we didn’t regionalize the strategic concepts, the geopolitical strategic dynamic of all those – of all those movements and decisions and actions that we took. We’re now trying to do that. We’re going to have to do that, but it seems to me that Iran is a clear case of that. MR. KEMPE: Yeah, just two sentences. Let me underscore what Sen. Hagel just said. If you just take a look at the way Turkey looks at missile defense versus the way Poland looks at missile defense, geography makes a difference. And we will have an agreement in Lisbon in the NATO summit in a couple of weeks, but it will be a very careful agreement that takes into account Turkey’s sensitivities, which I think is very important to say. The other thing is just for clarity, for the Atlantic Council, you’ve heard one task member say it’s unacceptable to have nuclear weapons in Iran, another one say that one could contain, deter, live with. The Atlantic Council itself doesn’t take positions, taskforce does, do. As you can see, this taskforce hasn’t really decided that point. But I don’t think it really has to. I think the – I think the questions that we need to get at is what should we be willing to accept? What levers do we have to actually determine that? And then how do we determine what we should be willing to accept? For example, it’s not just could we contain Iran? It’s what do we do about proliferation in the wider region? It’s not just, you know, are they going to carry through on threats to you know, push Israel into the sea. It’s also what’s the impact on Hamas, Hezbollah, et cetera, et cetera. So I think what Barbara said about the nature of the regime would have been Ambassador Eizenstat’s answer, almost certainly. MR. NAWAZ: And also that strategic patience doesn’t equal infinite patience. I think that’s the message. We have a question from Benjamin and then Sean (ph). Q: Thanks. Benjamin Loehrke from Ploughshares Fund. Thank you for convening this great group of radical centrists. (Laughter.) My question, I’ll offer to Barbara. Now that we’re hearing reports that sanctions are beginning to bite, from a domestic political standpoint, how do Iranians view the enrichment program? And how will this affect Iranians as they go to the negotiating tables over the next couple weeks? MS. SLAVIN: Well, you know, it’s hard, of course, to do proper polls in Iran. There have been some and there, you know, this is just really from anecdotal – my own sense of it from having traveled a long time and I don’t think Iranians really – they care about the notion that Iran should have advanced technology. They don’t want to be deprived of that. They think it is their right. But if they were able to trade that for a better economy, I think they’d do it in a minute. Going to one of their celebrations of the – I think it was the 29th anniversary of the revolution and you know, everybody’s chanting, death to America, death to America. And there were a group of kids. They all placards on them saying, nuclear is our natural right and you know, all of this stuff. And there were a bunch of young kids who spotted me in the crowd and saw that I was a foreigner and asked where I was from. And I said I was an American. And Ahmadinejad is up on the platform, you know, blah, blah, blah about Israel and the Holocaust and so on. And I swear, 50 kids, young girls, all came up and asked for my autograph. You know – (chuckles) – just because I was from the States. So you figure it. I mean, I think that it’s just – it’s an issue that the government uses for nationalism. It’s something that they try to build up to unite the people because there isn’t much, frankly, to unite Iranians anymore. It’s – the Islamic Republic lost its religious fervor a long time ago. So they portray this as Iran’s right, but it’s – it’s certainly not the first priority for most Iranians in my view. MR. NAWAZ: Thank you. We have a question here. Q: Right, so my question is for Ms. Slavin, also. MR. NAWAZ: If you wouldn’t mind identifying yourself, Sean. Q: Yeah, yeah. Sorry. My name is Sean Ruda (ph). I guess that – well, first, thank you for your report and thank you to the Atlantic Council for having me. But my question’s really related to the last two, namely, you know, you cite the current political instability as potentially a good thing because the follow-on regime could be more open, maybe more democratic is a good way to put it and more respectful of human rights. And then you go on to say, and more likely to cooperate or at least not be so violently confrontational with Israel and/or the West. So my question is why? I mean I feel like we often conflate this idea that you know, a more democratic regime would be more like us in a lot of ways. And I feel, you know, I think you would acknowledge, democratic peace theory has about as many caveats as evidentiary points. Q: And Ahmadinejad was elected. I mean maybe the most recent election was called a little early, but ultimately, it’s not clear that he would not have won given big support in rural areas. And you, yourself, cite that a lot of his internal opposition is from hardline reactionary elements, right? Q: So even if we assume that you’re right and a follow-on regime, if we’re patient, comes in with more respect for these human rights and whatnot, why would we – why would we assume that they would not pursue as aggressive a Shiite-crescent extending foreign policy? I mean I don’t know how you’d characterize the influence of Lebanon as anything but destabilizing? What evidence do you have from your study? MS. SLAVIN: Well, I think the evidence really comes from the policies that were in effect when Mohammad Khatami was president. Iran was a lot less confrontational. It sought better relations with Saudi Arabia and the Arab Gulf. Khatami went to Lebanon, but he gave a speech in Beirut. He didn’t go to the border, you know, with Israel and make a lot of threats about wiping Israel off the map. It was a different tone. The nuclear program, the enrichment program was suspended for two years when Khatami was president while the Europeans negotiated with the United States. So we already have an example of what a more constructive Iranian administration can look like. I take – I make this statement because of the comments that have been made by Mir Hossein Mousavi and Mehdi Karroubi, the leaders of the Green movement have repeatedly talked about the fact that they would have a different – (audio break). I take it from my experiences visiting Iran over the last 14 years that they would have a different approach. The economy is very important and if you will recall, one of the slogans in one of the demonstrations that took place after the elections last year was, let’s see, no to Lebanon, no to Gaza, my life only for Iran. Iranians resent the fact that so much of their money is wasted, in their view, on supporting Hezbollah, Hamas and so on. And I think they would take a very different view. I don’t think they would devote those kinds of resources to these kinds of radical movements. Khatami also used to say that if the Palestinians reached an agreement with the Israelis, that Iran would not stand in the way of that. It was a different perspective. So we have to hope, I think, that a future Iranian government would be more nationalistic in the sense of dealing with Iranian interests. Would it give up its claims to influence in the region? No. I mean the shah was the one who started in meddling in Lebanon. The shah was the one who had the nuclear program. It was under his government that three small islands were seized from the United Arab Emirates. So I don’t think you would see an end to Persian nationalism by any means. But the tactics, I think, would be different. And certainly, there would be less of a confrontation, hopefully, with the United States and the West. MR. NAWAZ: Thank you, Barbara. I’m going to ask Sen. Hagel and Fred if they’d like to say anything before I wrap up this discussion with my thanks? MR. KEMPE: I actually have nothing to add. MR. HAGEL: It’s too easy. MR. NAWAZ: In that case – in that case, it’s up to me to thank the audience for coming and to thank the members of our taskforce, many of whom will be watching this on television or listening to it on our website or reading the transcript for their invaluable work in supporting what we are doing. I also want to thank, again, the Ploughshares Fund for having given us the initial grant to get this going and we hope to carry it forward. Picking up on some of the themes that have been raised today, some regional issues that need to be discussed on a broader level because this is the South Asia Center. We want to look at what India’s view is, what Pakistan, Afghanistan, the Gulf States are thinking about Iran and how they can help this relationship and the engagement the West and Iran. I also want to thank, again, the project director for the Iran Task Force, Mark Brzezinski, who had to be in China, unfortunately, and missed this first launch. So we want to thank you and my colleagues, Shikha Bhatnagar, Alexandra Bellay and Roy Baran. So thank you all for coming. We’ll see you again.